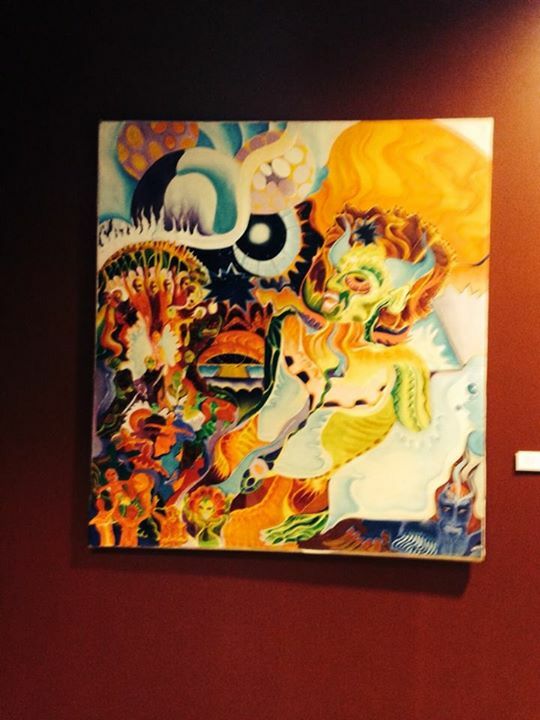 July 24, 2015 - Coastline Community College presents an exhibition examining psychedelic art produced in Orange County. "Orange Sunshine and the Mystic Artists, 1967-1970," opening Monday and running through Sept. 26 at Coastline Art Gallery in Newport Beach, will display artwork ranging from Beat assemblage to craft and figuration created by Mystic Artists, a loosely organized group of artists interested in alternative culture. 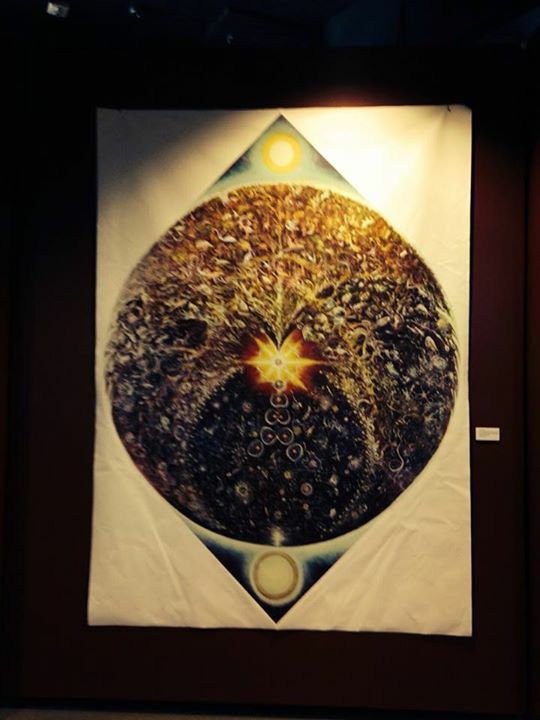 Mystic Artists congregated and exhibited their art at Mystic Arts World, a psychedelic emporium in Laguna Beach, which operated from 1967 to 1970. 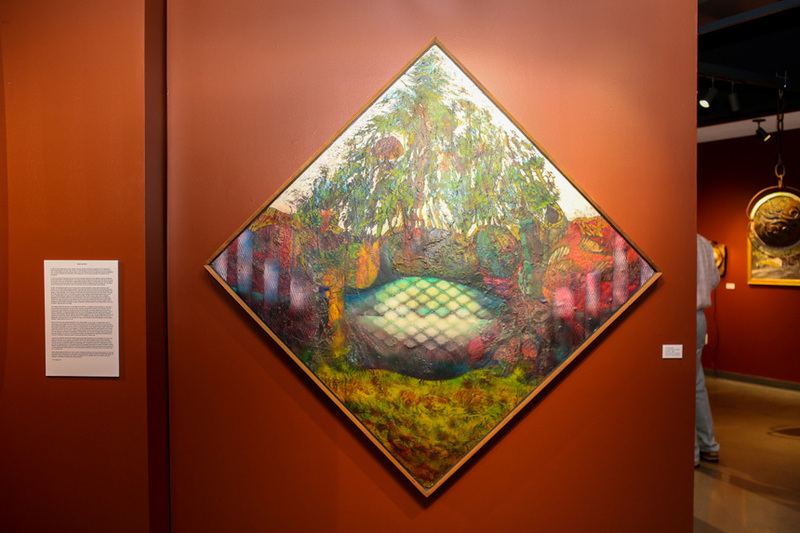 The collection curated by Bolton Colburn will include art that was displayed at Mystic Arts World and work by Mystic Artists dating from roughly the same time period. The gallery also will feature cultural artifacts, photographs, posters, fliers and other material relating to Mystic Arts World. Let the Orange Sunshine In with the Mystic Artists! 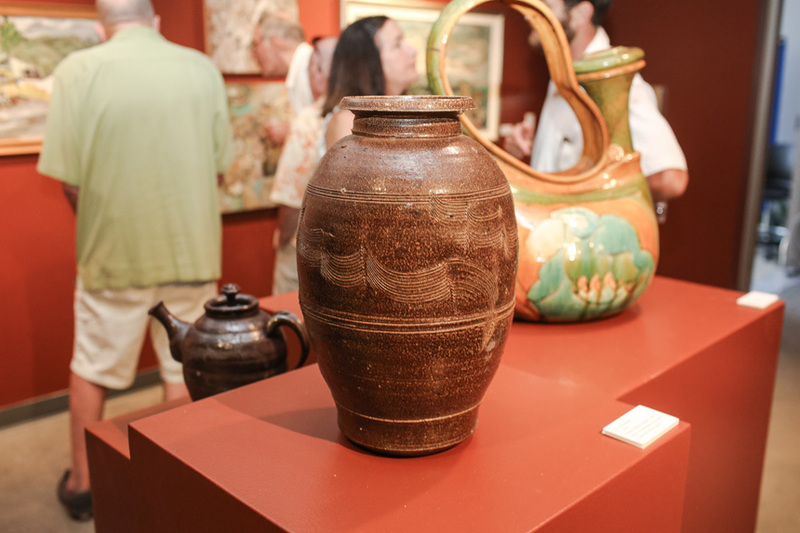 Artists who exhibited at the Mystic Arts World (MAW) included Carol Abrams, Isaac Abrams, Richard Aldcroft, Roger Armstrong, Jan Peters Babcock, Tom Blackwell, Mark Blumenfeld, Robert Ronnie Branaman, Jane Callender, Italo d’Andrea, Paul Darrow, Louis Delsarte, Khigh Alx Dhiegh, Philip Freeman, Ray Friesz, Louis Goodman, Reuben Greenspan, Bill Groves, George Herms, R.L. “Holly” Hollingsworth, Robert Jocko Johnson, Julie Kahn, Steve Kensrue, Karen Kozlow, Terry Lamb, Bob Laney, Ed Lutz, Robert McCarron, Joe Miller, Dwight Morouse, Jim Nussbaum, Harve Parks, Beth Pewther, Noble Richardson, Larry Rink, David Rosen, R.L. Bob Ross, Mary Riker Segal, Gayl Stenlund, Gerd Stern, Jon Stokesbary, Wiktor Sudnik, John Upton, Gordon Wagner, Andy Wing, Dion Wright, and Bob Young. A small section of the exhibition will include the posters and graphics that Bill Ogden did for the Brotherhood and Mystic Arts World. The panel moderated by the original Mystic Arts World Gallery Director, Dion Wright, will include many of the people involved with the Brotherhood and MAW, on Saturday, July 25 at 6 p.m.
Sept 2, when Nicholas Schou, author of Orange Sunshine: The Brotherhood of Eternal Love and Its Quest to Spread Peace, Love, and ACID to the World, will talk about his book. 1515 Monrovia Avenue, Newport Beach. 1515 Monrovia Ave, Newport Beach CA. Mark your Calendar for this New Free historic event. 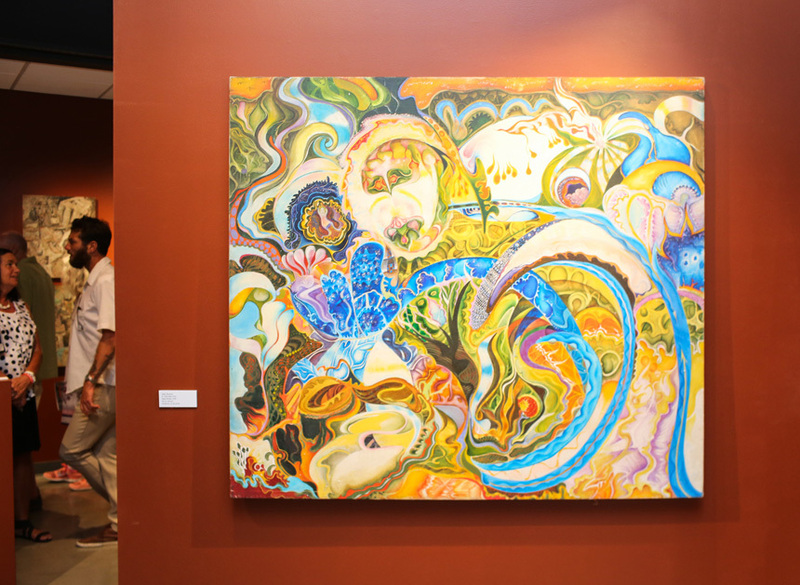 Orange Sunshine and the Mystic Artists, 1967-1970, is the first exhibition to examine the art produced by the Mystic Artists. 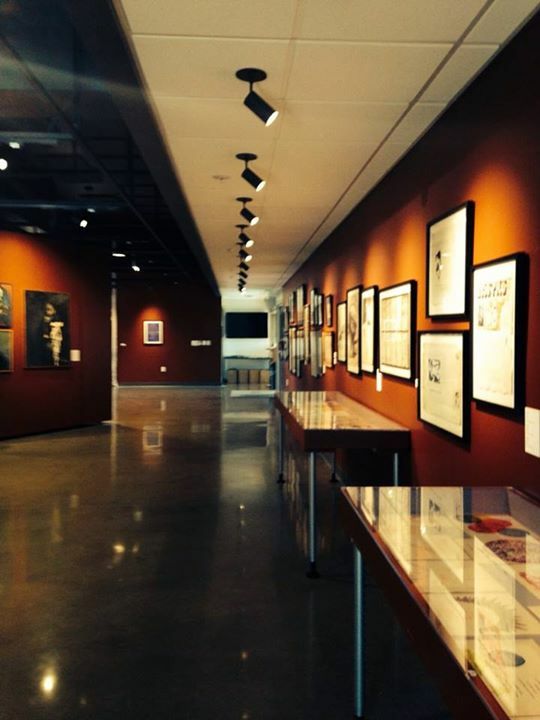 There will be a special opening reception and panel discussion on Saturday, July 25. Mark your calendar! 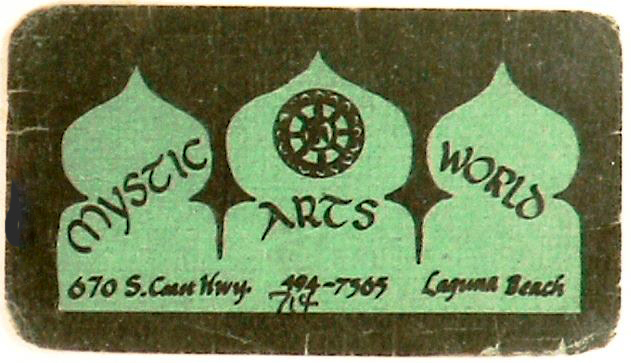 Mystic Arts World (1967-1970), a head shop in Laguna Beach, was ground zero for psychedelic culture in southern California during the late 1960s and early 1970s. 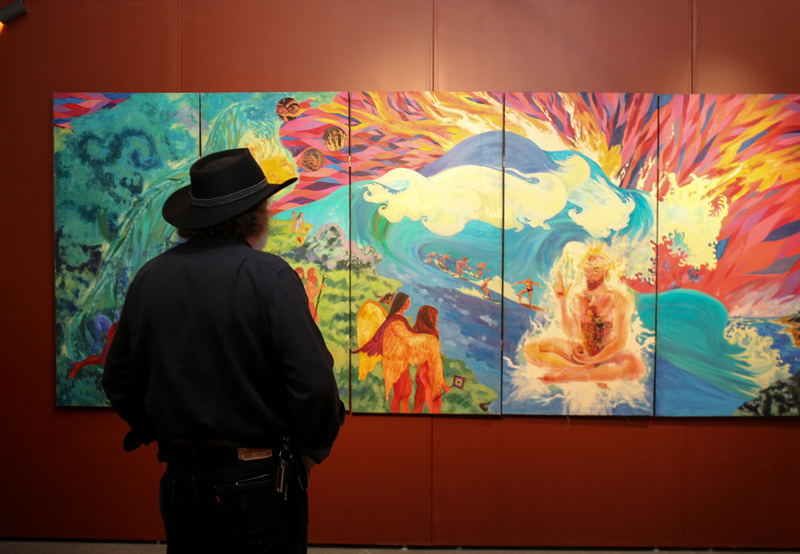 It was there that a loosely organized group of artists interested in alternative culture, mystical experience and the transformation of society, “The Mystic Artists”, congregated and exhibited their art. 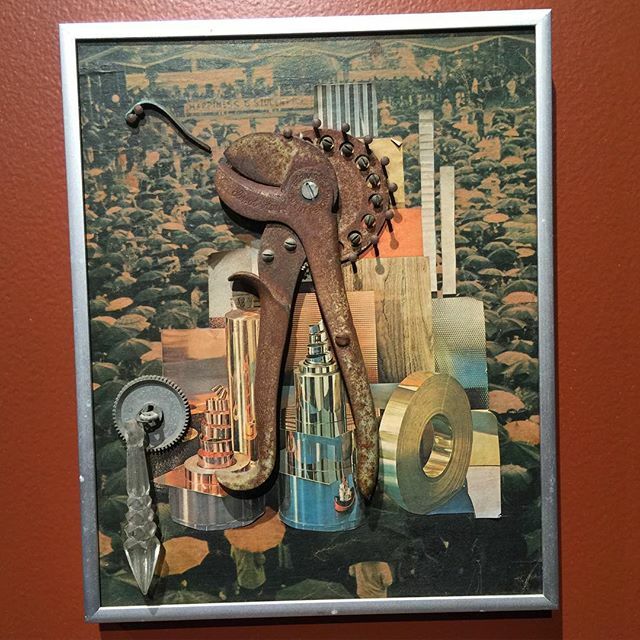 Their artistic expression ranged from Beat assemblage to figuration to psychedelic art. 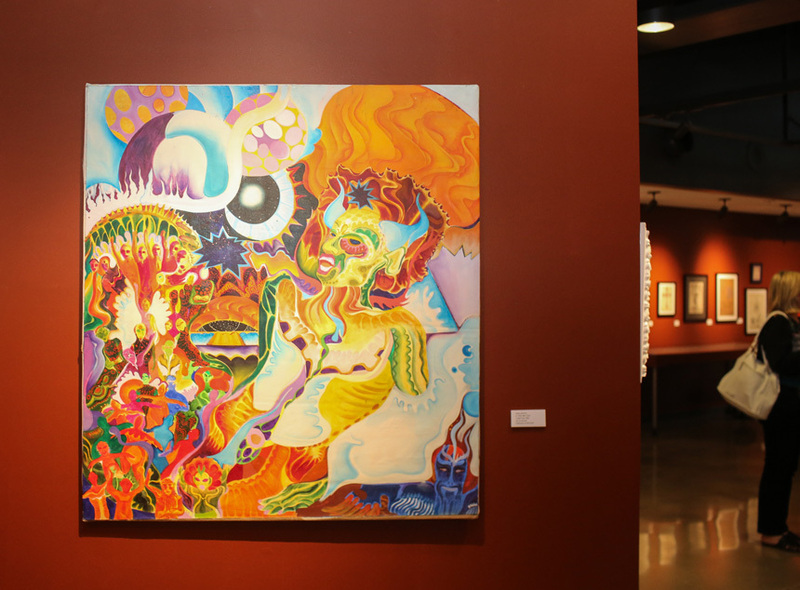 “Orange Sunshine and the Mystic Artists,1967-1970″, opening saturday night at Coastline Art Gallery, is the first exhibition to examine psychedelic art produced in Orange County by the Mystic Artists, a loosely organized group of artists interested in alternative culture, mystical experience, and the transformation of society. 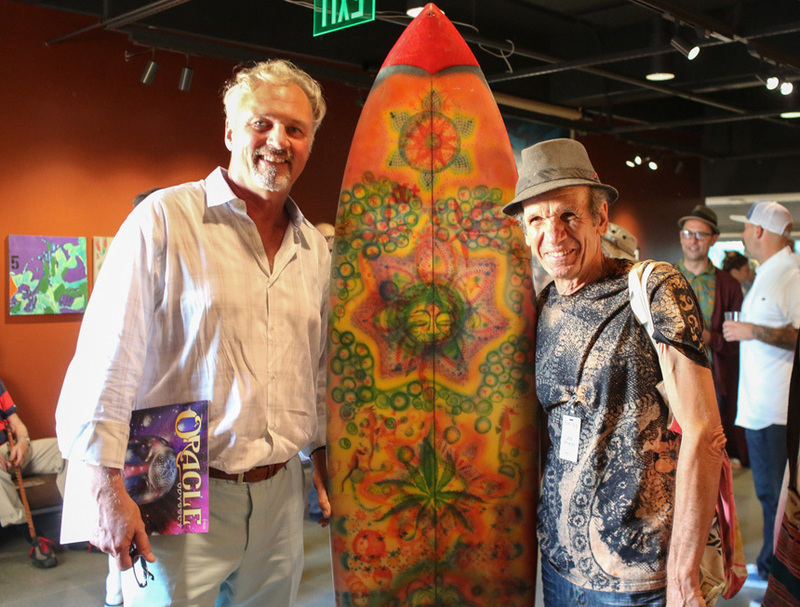 These artists congregated and exhibited their art at Mystic Arts World, a psychedelic emporium in Laguna Beach, which existed from 1967 to 1970. 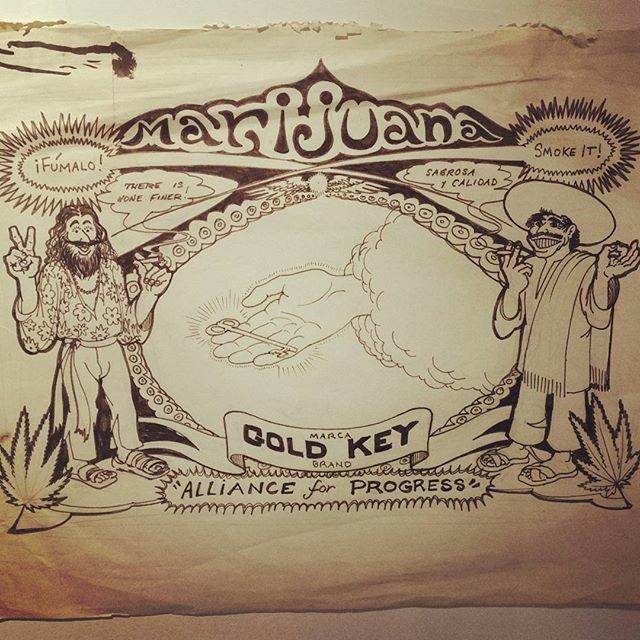 The shop –which closed due to a fire–was ground zero for hippie culture in Southern California during the late 1960s and early 1970s, and rich artistic and perceptual experimentation grew out of this burgeoning psychedelic culture. 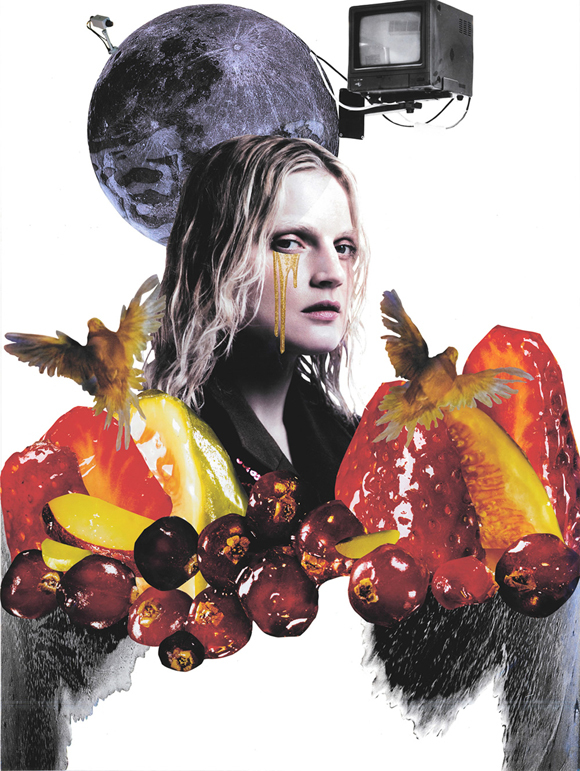 Nick Schou’s book Orange Sunshine was a revelation. I had no idea of the breath and depth of what occurred in Laguna Beach during this time. I thought it was culturally significant and wanted to see what the visual side of Nick’s story looked like. I was intrigued by what and who was showed at Mystic Arts World and why it had been swept under the rug. 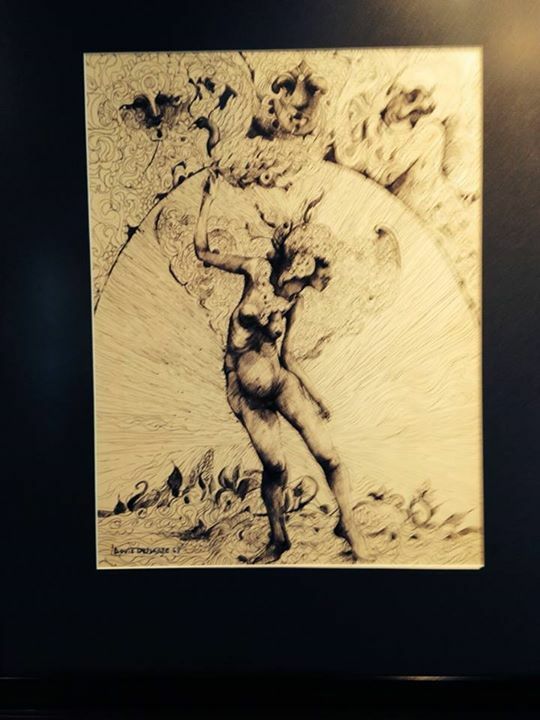 The exhibition, running from July 27 to September 26, 2015, in the art gallery at Coastline Community College in Newport Beach, includes both art that was exhibited at Mystic Arts World and, out of necessity, work by Mystic Artists dating from roughly the same time period. Artistic expression ranges from Beat assemblage (Jane Callender, George Herms, Paul Darrow, Louis Newman, and Andy Wing), to Visionary (Carol Abrams, Tom Blackwell, Robert Branaman, and Dion Wright) to craft and figuration (Roger Armstrong, Italo d’Andrea, Robert “Jocko” Johnson, Beth Pewther, David Rosen, and Jon Stokesbary). There will also be a digital projection of the work of Richard Aldcroft, who once installed a psychedelic light projection in the gallery. 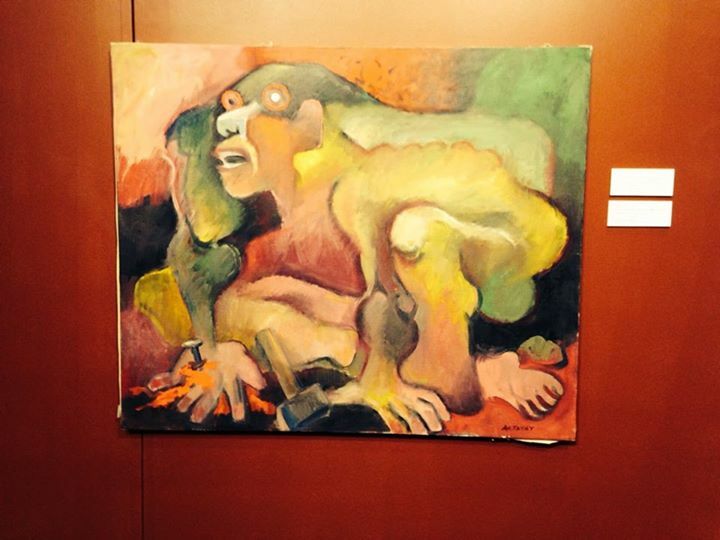 The sculptures of Robert “Jocko” Johnson, donated by Allan Seymour will also be on display in the exhibition. 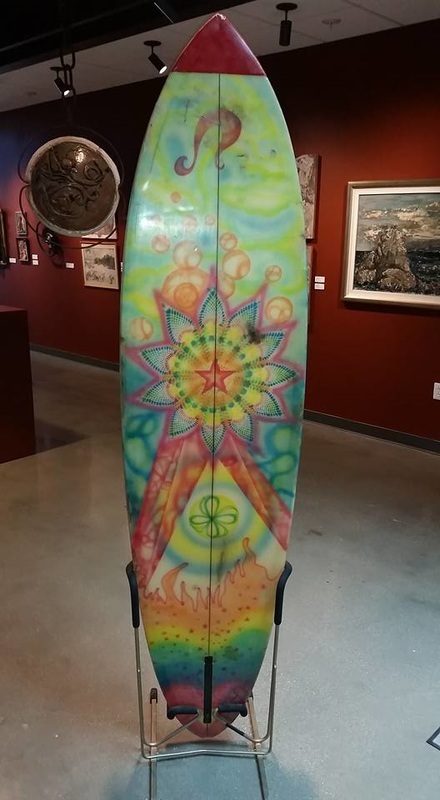 Allan Seymour, an orange county resident and historian who is deeply connected to the surf culture, said that the exhibit evokes memories beyond Mystic Arts World. He explained to Michael Miller of the Daily Pilot that his now-deceased friend cottoned to the dusty, rural vibe of southern orange county in the 1960’s and left subsequently as the area grew more suburban. 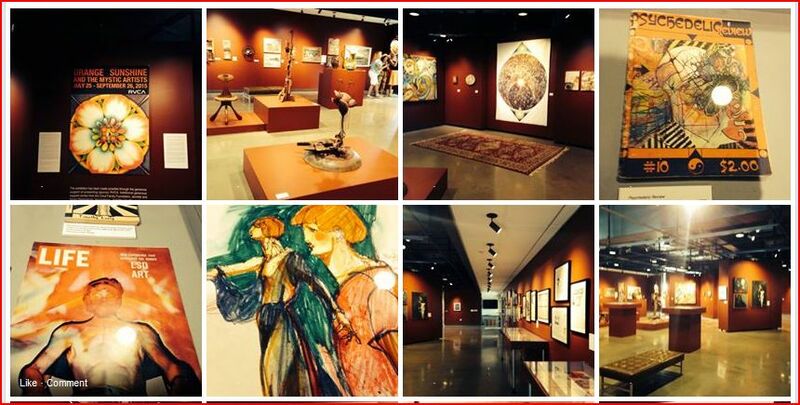 In addition, the exhibition features cultural artifacts that provide context for the time period. 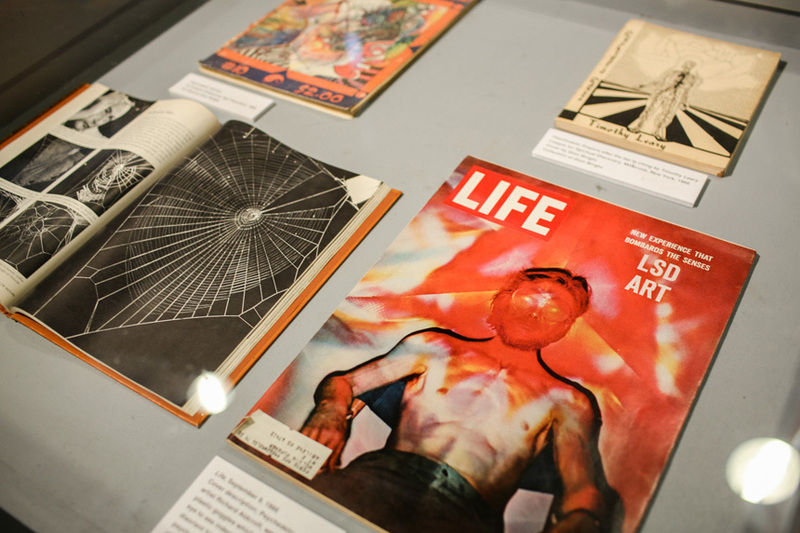 Dion Wright, who was the curator of the gallery program at Mystic Arts World and collaborated on the exhibition, provided a treasure trove of photographs, posters, exhibition announcements, flyers, and other material relating to Mystic Arts World. We are not trying to recreate MAW, but are trying to evoke it . Today there is a built-in cultural inclination to dismiss works of art that make reference to use of psychedelic substances, While the reasons are many, including the fear of promoting the use of LSD, the attitude is a bit like throwing the baby out with the bathwater. The search for self—the ultimate quest of the Baby Boomer generation—set the stage in the 1960s for one of the most remarkably open-minded and culturally fertile periods of the century, and mindaltering chemicals were a catalyst in making that possible. Given the level of fear and control prevalent in our culture today, it is worth taking a look at the cauldron of art and ideas arising out of the Mystic Arts World. The artists’ countercultural activity and mystical quest can still inspire us today in our thinking about personal and global transformation. 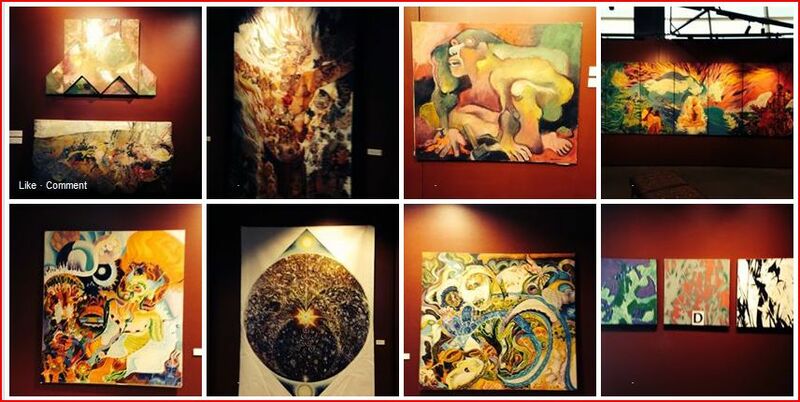 Artists who exhibited in the Mystic Arts World included Carol Abrams, Isaac Abrams, Richard Aldcroft, Roger Armstrong, Jan Peters Babcock, Tom Blackwell, Mark Blumenfeld, Robert Ronnie Branaman, Jane Callender, Italo d’Andrea, Paul Darrow, Louis Delsarte, Khigh Alx Dhiegh, Philip Freeman, Ray Friesz, Louis Goodman, Reuben Greenspan, Bill Groves, George Herms, R.L. “Holly” Hollingsworth, Robert Jocko Johnson, Julie Kahn, Steve Kensrue, Karen Kozlow, Terry Lamb, Bob Laney, Ed Lutz, Robert McCarron, Joe Miller, Dwight Morouse, Jim Nussbaum, Harve Parks, Beth Pewther, Noble Richardson, Larry Rink, David Rosen, R.L. Bob Ross, Mary Riker Segal, Gayl Stenlund, Gerd Stern, Jon Stokesbary, Wiktor Sudnik, John Upton, Gordon Wagner, Andy Wing, Dion Wright, and Bob Young. While it lasted, Mystic Arts World was a focus of seminal, sometimes cosmological, and always super-conscious Art. This writer was dragooned into service early-on by John Griggs, who was determined to feature my Taxonomic Mandala within Mystic Arts World, and feature me personally as the maitre d’ of presenting ‘far out, outtasight’ works of Art. What you see in this exhibition is a collection of surviving works of that wild period. It was a godawful period full of disaster and it had very little to recommend it, except that it was doing some good work to oppose the Vietnam War. Aside from that it was painful. To re-create the atmosphere during the Mystic Arts World years, the exhibition space will have the music of Indian sitar master Ravi Shankar playing. It was his music that was often played as background music in the Mystic Art Gallery. I think that even though Laguna has changed dramatically since the 60’s, there’s still a core kind of community who remember what it used to be like. So the story of Mystic Arts World is certainly a key part of the nostalgia that exists for that time period. Cartwheel Art founder Cindy Schwarzstein agrees. 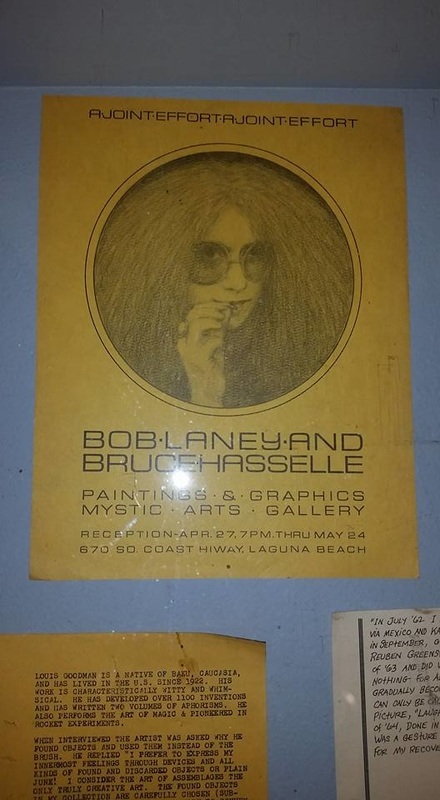 Although Cindy’s family moved to Laguna Beach in 1974, she has memories of the community of artists and their work along with the hippie sub-culture of that time period that was present for many years after Mystic Arts World closed and that can still be seen today, although the style is in not the mainstream of art that is shown in Laguna Beach. Related press: article by Michael Miller from the Daily Pilot and article by Nick Schou for OC Weekly and article by Gordy Grundy on Huffington Post. Opening Reception Facebook Invite here. Tuesday-Saturday, 12:00 p.m.-4:00 p.m., with extended hours on Thursdays until 8:00 p.m. Admission is free and open to the public. The gallery will be closed on Saturday, August 29. 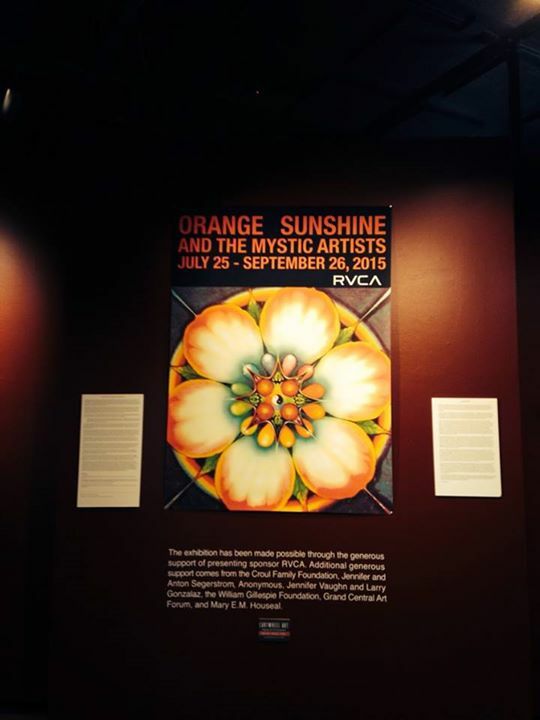 Orange Sunshine and the Mystic Artists, 1967-1970 is made possible through the generous support of presenting sponsor RVCA. 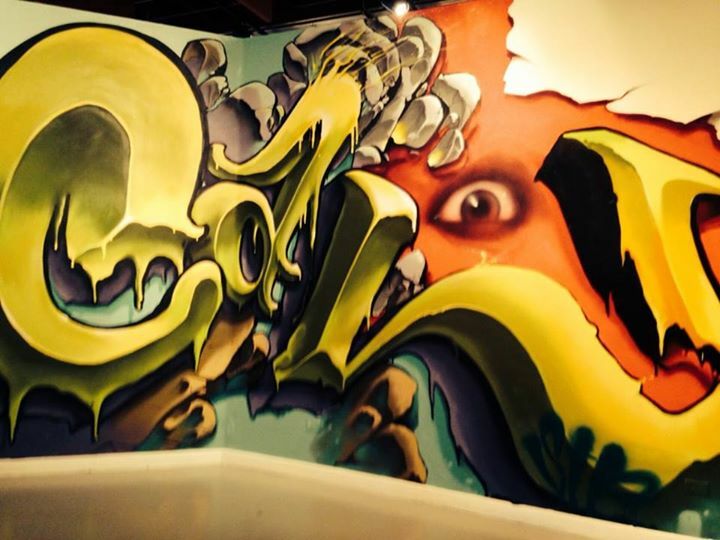 Additional support comes from the Croul Family Foundation, Jennifer and Anton Segerstrom, an Anonymous donor, Kristine E. Thalman and Family, the William Gillespie Foundation, Grand Central Art Forum, and Mary E.M. Houseal. (1515 Monrovia Avenue, Newport Beach, CA 92663). Admission is free. A panel discussion moderated by the original Mystic Arts World Gallery Director, and author ofTempus Fugit, Dion Wright, features many of the people involved with The Brotherhood of Eternal Love and Mystic Arts World, including Beth Leeds, Joe Miller, Carol Griggs Randall, Michael Randall, Star Shields, and Gerd Stern. Museum hours: Tuesday-Sunday, 10:00 a.m.-4:00 p.m. 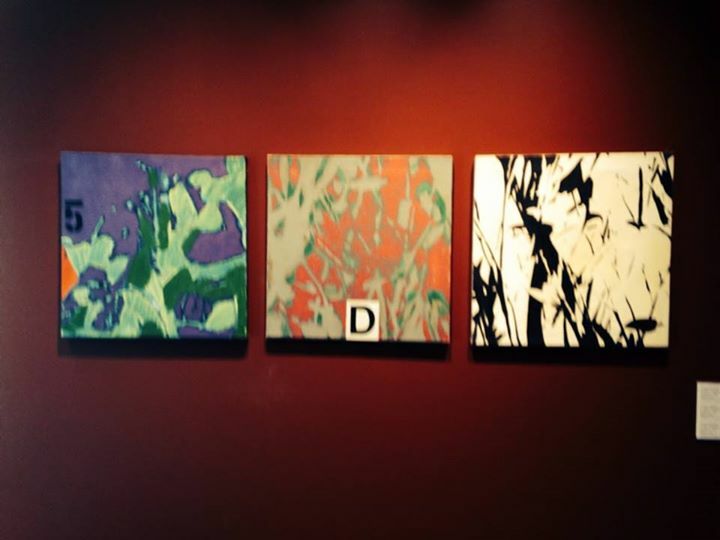 Opening reception: July 2, 5:00-9:00 p.m.
Gallery hours: Tuesday-Saturday, 11:00 a.m.-5:00 p.m. There are times when an art movement quietly documents the heart and soul of the much louder story of history that surrounds it. In 1967, LSD was illegal. Demand was high and supply was low. The desirous were not large in number, but they had a lot of friends and family. 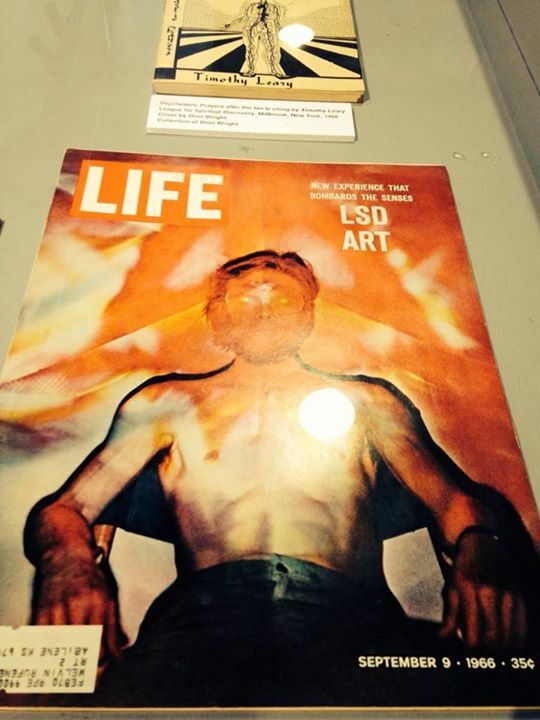 LSD was new and untested; its affects promised miracles and great beauty. Questions remained unanswered and there was a whole movement who sought to spread the spiritual vitality that many claim LSD to conjure. In Laguna Beach, CA, Timothy Leary and local character John Griggs pioneered a movement to expand worldwide consciousness. Its focal point was Mystic Arts World, a bookstore, gallery and convenient place to pick up a dozen tabs of their famous acid, Orange Sunshine, on the way home from work. Law enforcement was caught off guard and soon everyone was trippin'. 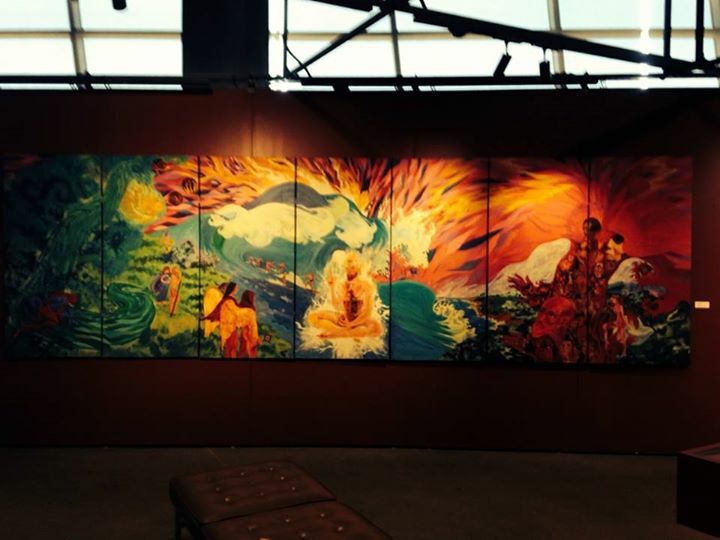 This article is about the art work of the Mystic Arts World. The Mystic Arts World is a fevered web of many stories, all legendary, starring the most colorful of characters. One of the artists, Dion Wright, lays out the turf. "Mystic Arts World was the mercantile expression of John Griggs' idealism. He was a great, if somewhat tacky, coiner of nomenclature, having imagined this lurid name for the store, and also the name, "Brotherhood of Eternal Love" for his group of joyous, proselytizing smugglers. The thing to realize is his absolute sincerity. His cultural opponents were riddled with hypocrisy and all stripes of self-interest, but John was as pure as an acetylene flame." The joy of sharing love and a higher consciousness was soon overwhelmed by the wave of ever-flowing cash. Their drug manufacture and distribution was a self-perpetuating, expansive success story. John Griggs was a pirate with a hippie smuggler crew. It is alleged that they were the first to fill a surfboard with contraband. They earned the AKA "Hippie Mafia." Well-documented is the legendary story of the pirates showering Laguna with acid blotter snow from a helicopter. Woven into the milieu are the Hell's Angeles, Charles Manson, Afghanistan hash and the root cause of the Altamont concert debacle. In 1969, a three-day, rock and roll concert, in East Bay San Francisco, the Altamont Speedway Free Festival, ended with the Rolling Stones on stage and mayhem, death and violence in the audience. This is what happens when radical hippies and hard-on Hell's Angels take Orange Sunshine acid at the same time, in the same venue. The Vietnam War is raging. Hippies are thriving. The phenomenon of Mystic Arts World is a saga. Award winning journo Nick Schou details the culture and influence in his book "Orange Sunshine: The Brotherhood of Eternal Love and Its Quest to Spread Peace, Love, and Acid to the World." Schou's book is very much the impetus for a new arts show at the Coastline Art Gallery in Newport Beach, CA, this July. 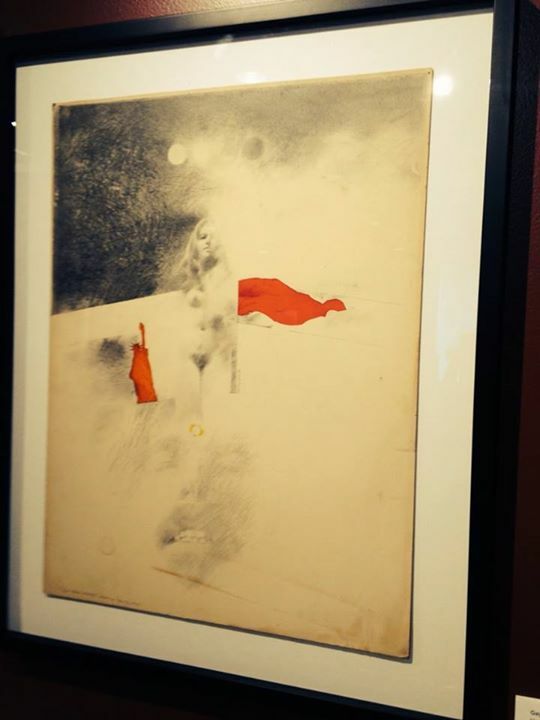 Bolton Colburn curates and RVCA presents, Orange Sunshine and the Mystic Artists, 1967-1970. 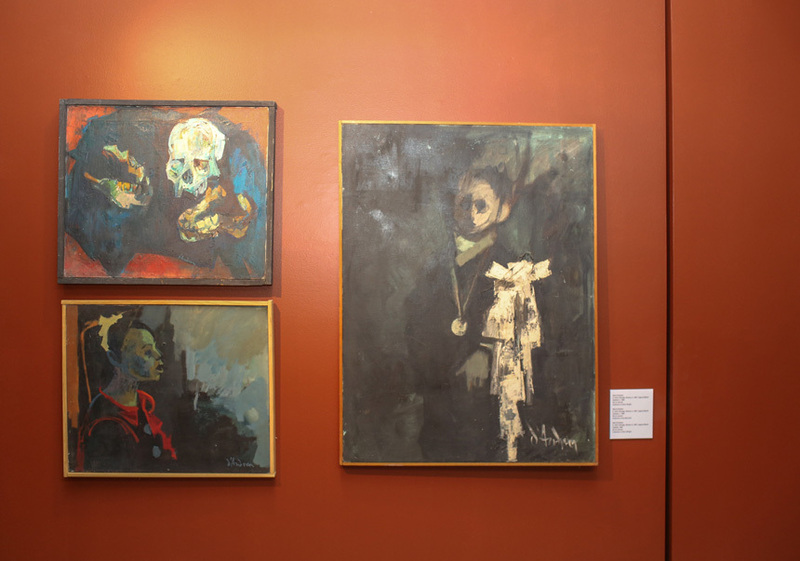 Set in this chaotic otherworld in Laguna, the Mystic Arts World gallery was the nucleus for a group of artists who were tuning in, expanding their minds and dedicatedly making art. In the Southern California geography that surrounds them, innovation is exploding like a million teardrop starflowers in bright candy colors. Music is mad, surf is king and local artists Rick Griffin and John Van Hamersveld are defining pop culture. Fifteen miles north, the Jesus Maranatha Movement is just getting started. In the South Bay, the aerospace industry has a full throttle on the Vietnam War and the Cold War arm's race. 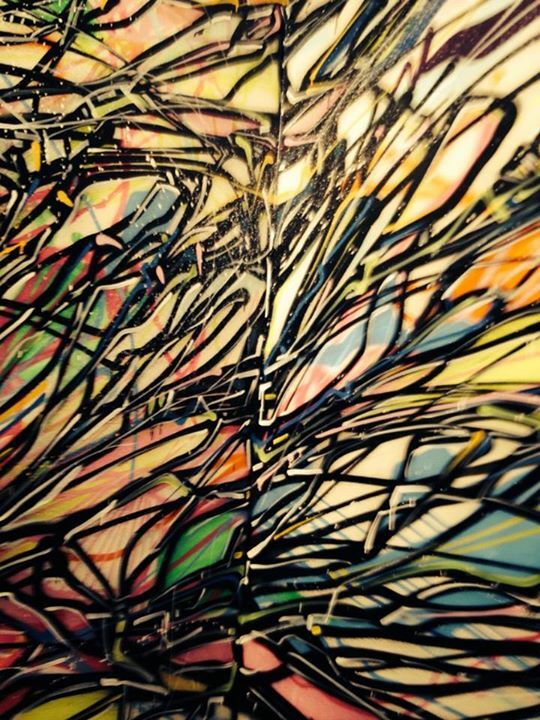 Venice Beach and LA are producing transcendental art in the Light and Space movement. The artists of the Mystic Arts World supported their hive and founded an aesthetic. "While it lasted, Mystic Arts World was a focus of seminal, sometimes cosmological, and always super-conscious Art," says Dion Wright, who also served as gallery director back in the day. 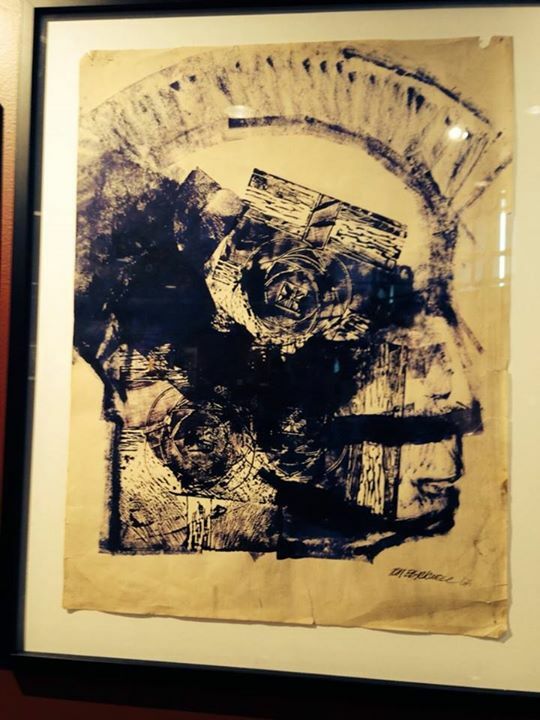 Today, he is a collaborator to "Orange Sunshine and the Mystic Artists, 1967-1970." 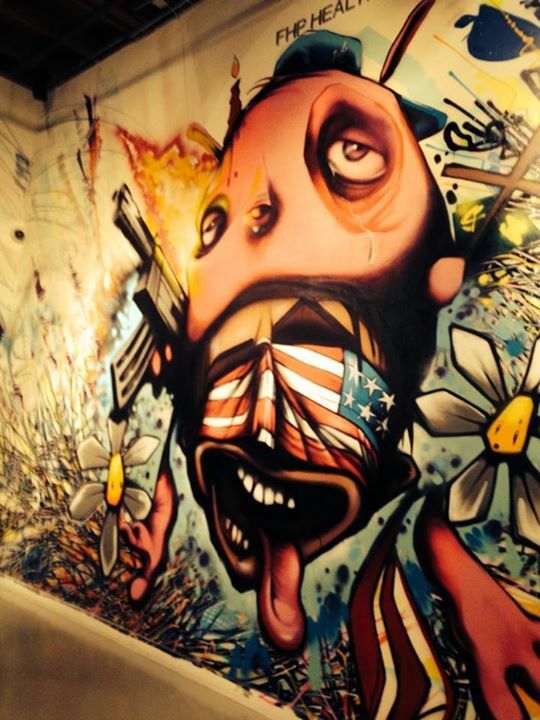 Objectively, this is an art show of lurid sensationalism. The stories and legends of The Brotherhood of Eternal Love, threaten to overshadow the quiet and generally contemplative artwork. 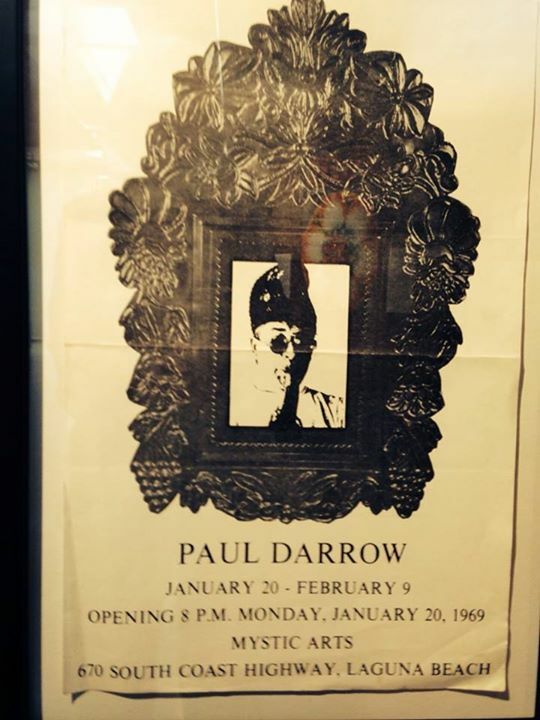 This history of hippie noir is the star of this large group show. No single artist commands a voice, as over 45 artists engage a true collective. The diversity of the artwork is a stylistic document of this place, at this time. At this period of history, everything was changing. In the commercial, consumable world, Avocado Green and Harvest Yellow were part of a flood of design distinctions that were generating waves of influence. 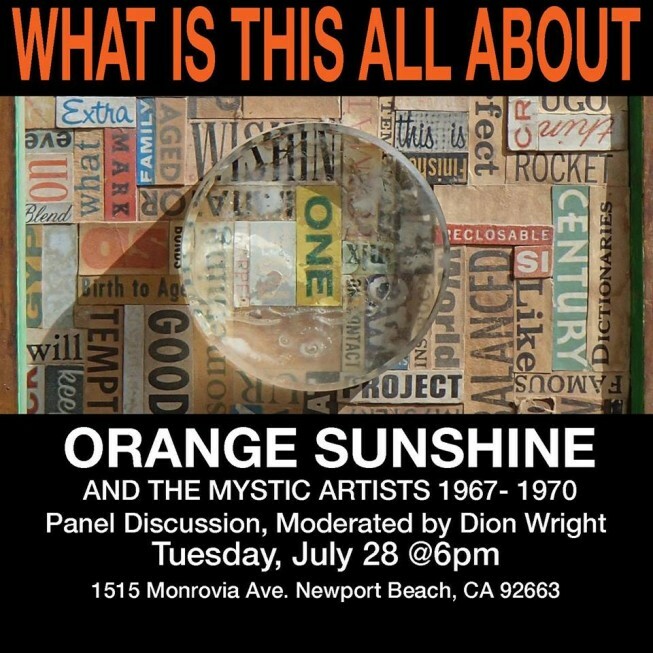 I look to Orange Sunshine and the Mystic Artists, 1967-1970 for the nostalgia and the wilder side of Southern California history. The rowdy, madcap stories inspire great imagination and fantasy, but this art show will ground these legends into the tactile and real world. Valuable shows such as Orange Sunshine and the Mystic Artists, 1967-1970, cannot be made without great support. 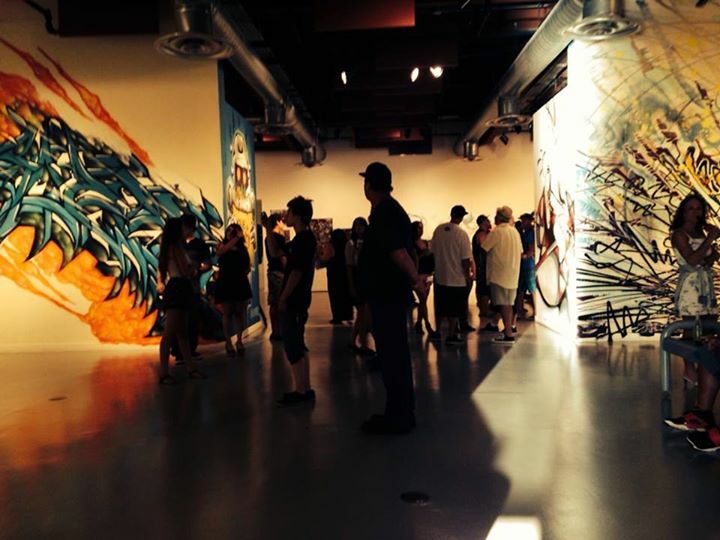 The exhibition has been made possible through the generous élan of presenting sponsor RVCA. 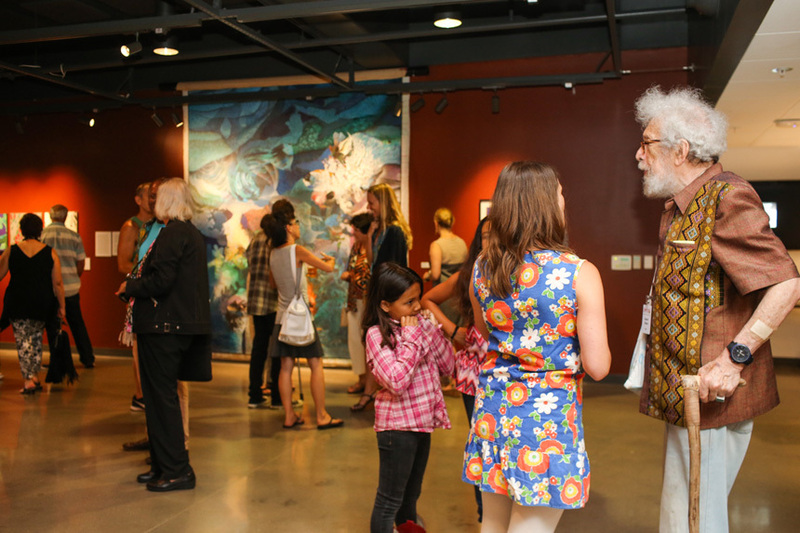 Additional generosity comes from the Croul Family Foundation, Jennifer and Anton Segerstrom, an anonymous donor, Jennifer Vaughn and Larry Gonzalaz, the William Gillespie Foundation, Grand Central Art Forum, and Mary E. M. Houseal. 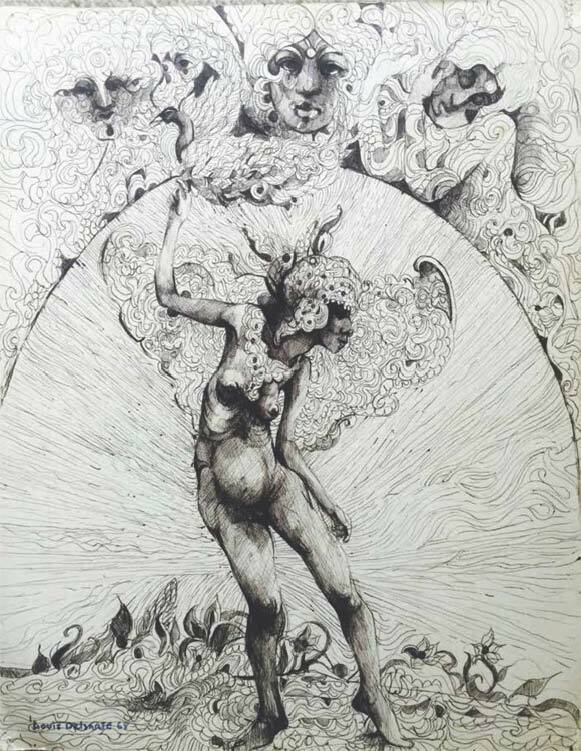 The Orange Sunshine and the Mystic Artists, 1967-1970 show opens Saturday, July 25 at the Coastline Art Gallery at the Coastline Community College in Newport Beach. Plan a road trip around it. Beth Leeds is an artist and idealist operating mostly in Laguna Beach, whose creative medium beyond painting was largely political action, and the challenges of how to make the positive palatable to people only interested in short-term profits. Politics as Art. Beth was instrumental in several “happening”-type events, where she characteristically ignored the odds against her visions, and pressed on with marked courage and bravery during a time when idealism was often met with violence. 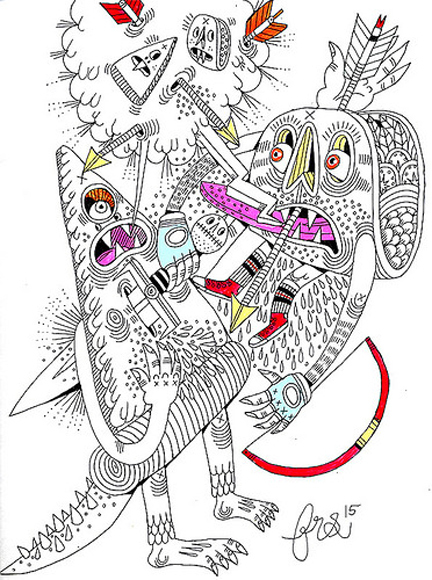 Joe Miller is an artist with cosmopolitan skills and boundless energy, who emerged from the USMC artillery to embrace bohemianism and to enter the field of art, where he might find elbow room for his wide arc of expression. When Mystic Arts World was bogging-down trying to get ready to open through the service of inefficient remodelers, Joe took over as straw boss and got the place up and running expeditiously. 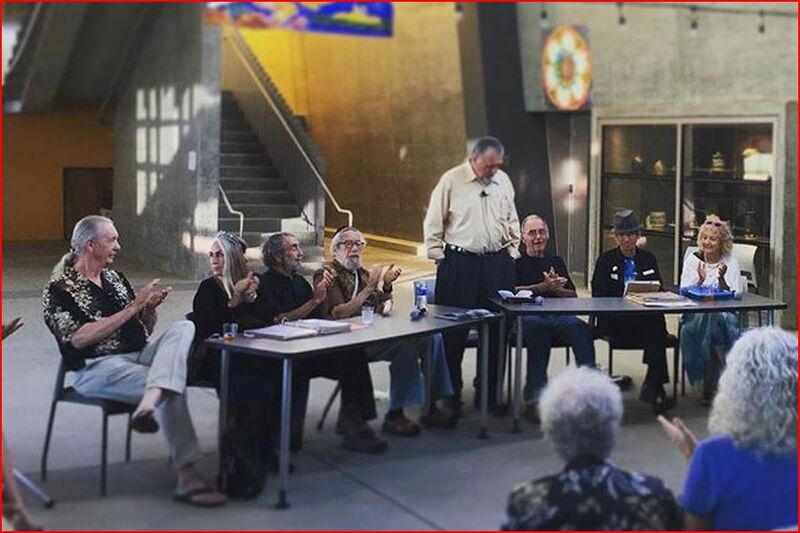 In 1968, he joined forces with Dion Wright and some other zanies to build the first Sawdust Festival under the umbrella of The Experimental Artists of Laguna Beach, such as they were, derived from USCO. The entrance of the Joe-Dion axis into the new show made the reactionary wing of the so-called rebel group bolt, in the face of real rebels, with the treasury, to go off and start the Art-A-Fair. Carol Griggs Randall was the Godmother of the Brotherhood of Eternal Love, and widow of its short-lived founder, John Griggs, who also founded Mystic Arts World. She is the keeper of the keys to the kingdom, and maintainer of spiritual values. Michael Randall was the Godfather of the Brotherhood of Eternal Love, who was the original general manager of Mystic Arts World, and the de facto chief of the tribe after the demise of his friend and brother, John Griggs. Between them, the Randalls carry the torch of idealism represented by Mystic Arts World, and the movement that created it, up to and following the act of arson, which destroyed that spiritual center. Star Shields is an artist and activist who expounded the ethereal possibilities of the art of the airbrush, and was the foremost exponent of militant vegetarianism during and after the Mystic Arts World era. He and his colleagues were the founders of the dedicated group, Love Animals: Don’t Eat Them. Gerd Stern is a poet and originator, along with Allen Ginsberg and Carl Solomon, of the philosophy of the Beat Generation, popularized by Jack Kerouac. He is a renaissance man who helped Harry Partch construct his hand-made percussion instruments, just now being employed in the production: “LSD, the Opera”, for which Gerd wrote the libretto. In the mid-60s, Gerd conceived an art group, USCO, meaning US Company, characterized by joint effort without hierarchy, under the motto, “In a world of simultaneous operations, you don’t have to be first to be on top”. USCO was an experimental society ensconced in a 19th Century Hudson River church where they pushed the frontiers of media to break new aesthetic ground in synch with the ideas of Gerd’s colleague, communications philosopher Marshall MacLuhan. Gerd coined the phrase “Human Be-In”, later expropriated by Doctor Timothy Leary, whose post-Harvard media events were produced by USCO. Stern published several volumes of poetry throughout the period, and continues to be a playful synthesizer of language, and the “matrix-man”, a sort of human switchboard through which cultural exponents were and are connected. 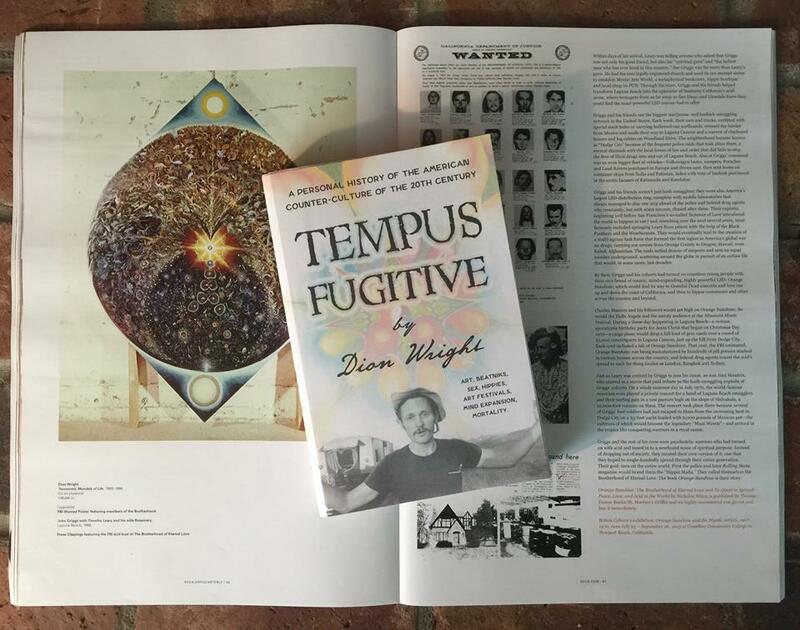 Dion Wright was a Festival of Arts exhibitor from 1959 to 1964, tail-end participant of post-Beat San Francisco culture including the Batman Gallery, and participant of the shift from Beat to Flower Child, Painter of the taxonomy Mandala in Woodstock New York in 1965, 66, while being ensconced within USCO, and showing at “USCO Down by the Riverside”, NYC, plus sampling the airs at Timothy Leary’s Castala Foundation in Millbrook, NY. 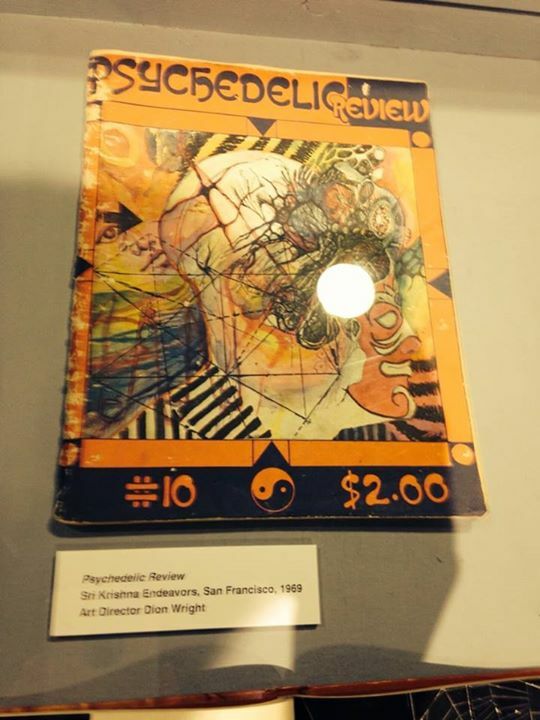 1967 participant in Stewart Brand’s “Whatever It Is” media Festival at San Francisco State, bearing witness to the Summer of Love while having a one-man show at the Canessa Gallery of Montgomery Street in San Francisco. 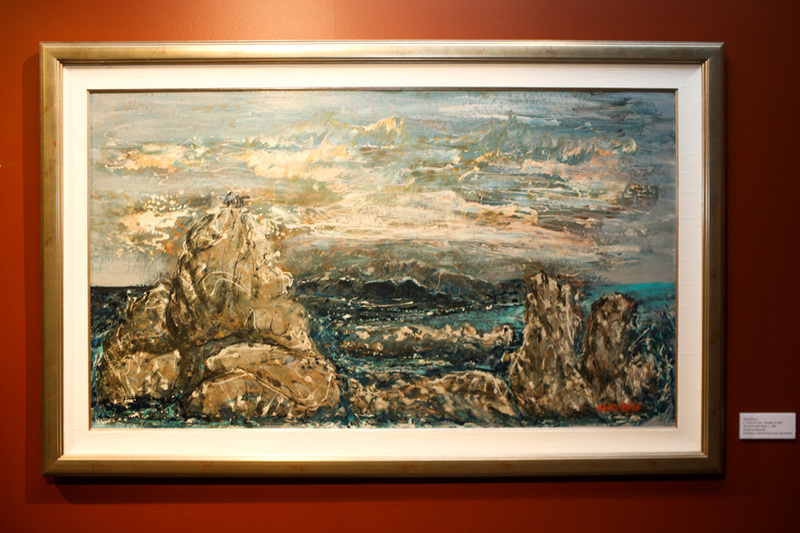 Returned to Laguna Beach in 1967 to manage the art gallery function of Mystic Arts World. Maker of many mostly-representational sculptures in welded metals. 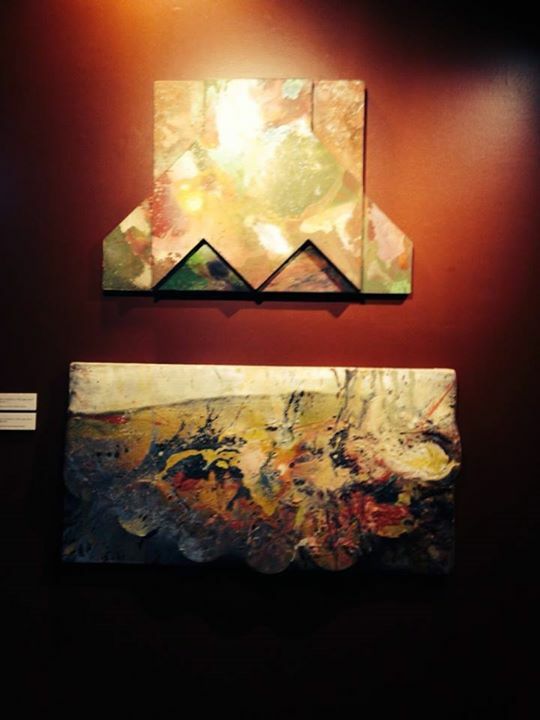 Cartwheel Art with their preview and here with a photo re-cap of the opening reception. 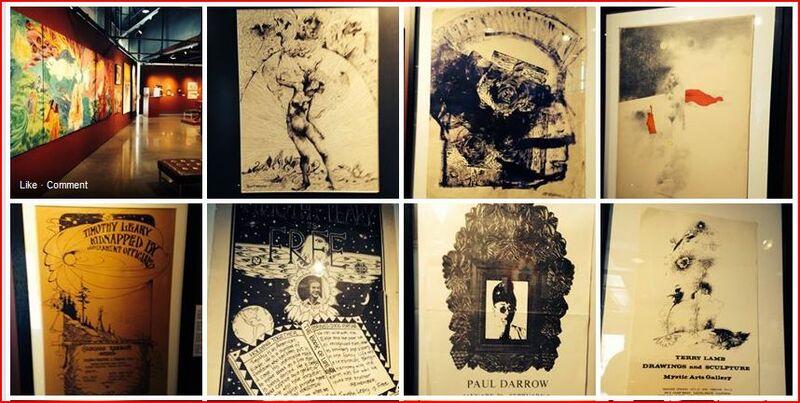 In addition, this is the article that is related to the exhibition by Daily Pilot, Huffington Post and OC Weekly. "Body of Christ-Body of Man" by Beth Pewther. The long cardboard box extended across a table at the Coastline Art Gallery, and Bolton Colburn was eager — and more than a little relieved — to view its contents. Colburn, the curator of the gallery's upcoming show, knew what was inside the box, though he had never seen it in person. He was definitely familiar with the image — Beth Pewther, the artist, had been in contact with him, and he had viewed reproductions of her 1966 mixed-media piece, "Body of Christ — Body of Man." Before Colburn tracked her down, though, he believed the piece was lost. Mystic Arts World, the Laguna Beach shop and gallery where it once hung, burned down in 1970, and one of Pewther's works perished in the blaze. 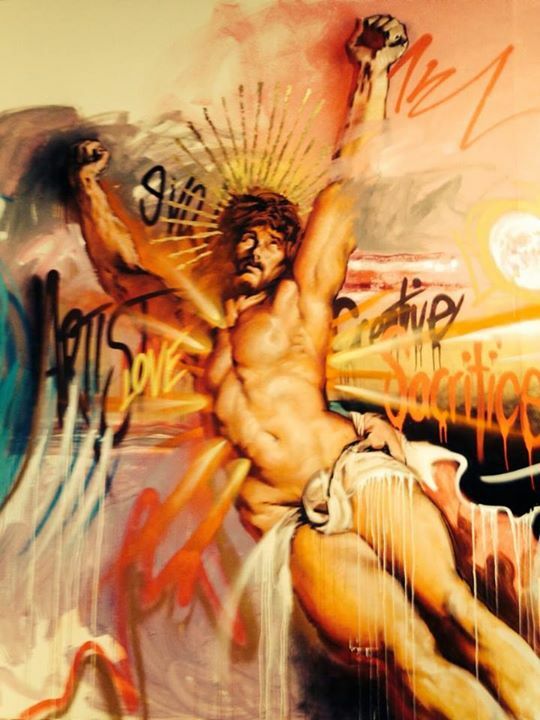 Dion Wright, the onetime curator at Mystic Arts World, had told Colburn he believed "Body of Christ" was that piece. But it wasn't, and now the velvet-mounted work emerged from the box. Colburn held one end as Coastline gallery director David Michael Lee slid the piece out and undid the bubble wrap. 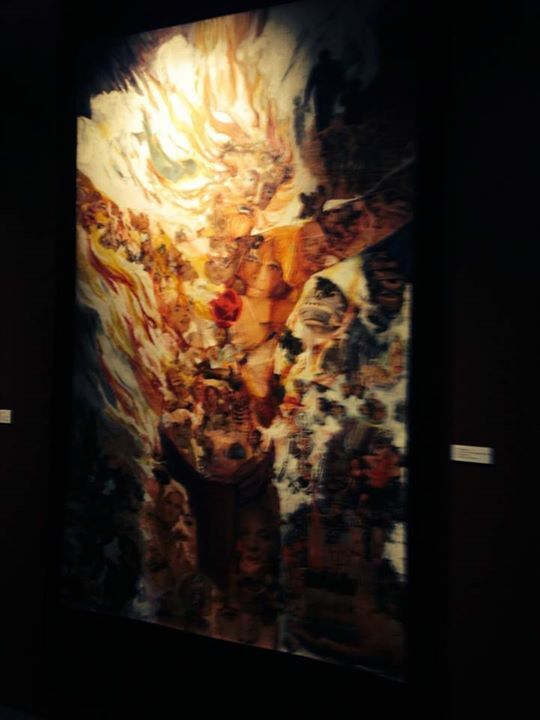 As "Body of Christ" rolled out on the table, its image — a portrait of Jesus in flames on the cross, with images of the Vietnam War and American magazines surrounding it — looked pleasantly ironic under the circumstances. "It didn't burn!" Colburn exclaimed with wry enthusiasm. "Although it is burning." 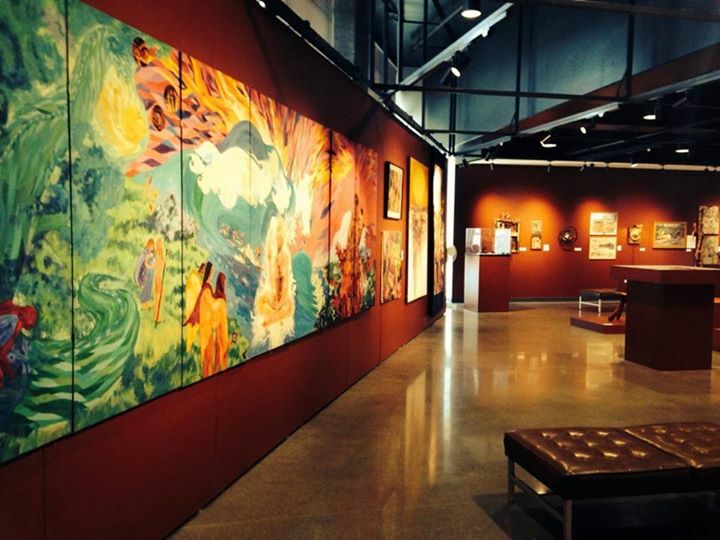 “Orange Sunshine and the Mystic Artists” features about 120 objects by 37 artists. Pewther, who lives in San Francisco, had mailed "Body of Christ" ahead of two other pieces. 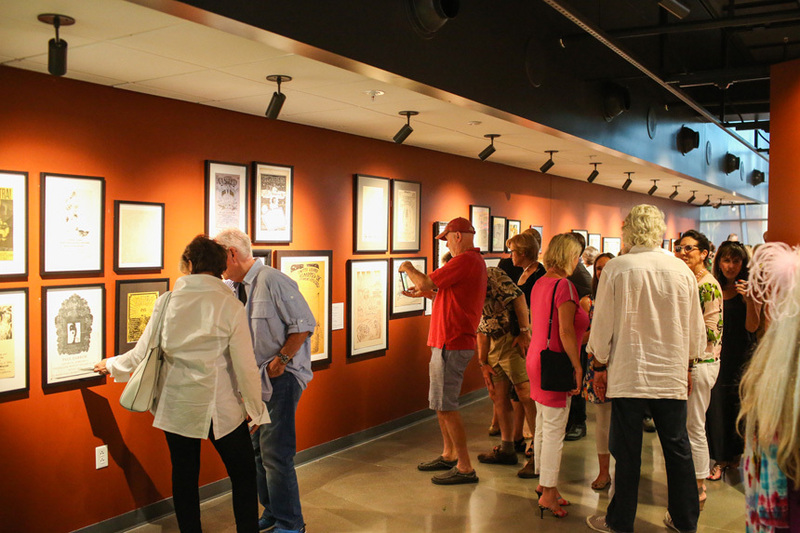 When "Orange Sunshine and the Mystic Artists 1967-1970" opens July 25 at Coastline, Pewther's efforts will join enough other contributions to cover the walls from floor to ceiling — though the total will still fall short of what the organizers had in mind. 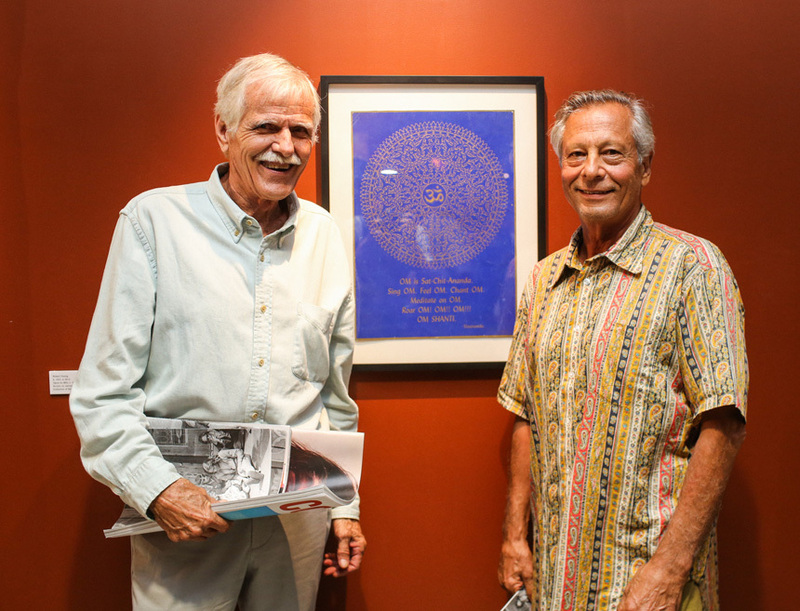 When Colburn and Wright set out to create a retrospective show for Mystic Arts World, they worked from a list of about 50 artists who had once exhibited at the Laguna shop. In the end, they managed to line up about two-thirds of them, since some proved impossible to locate. Not all the artworks were available in original form, for that matter — Wright's "Taxonomic Mandala" painting, which hung in Mystic Arts World's meditation room and has since gone missing, will be represented by a high-resolution copy. 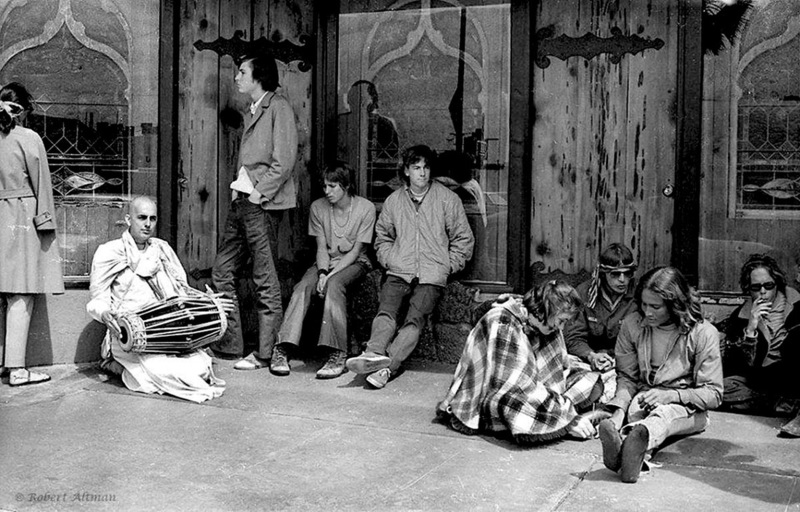 Mystic Arts World operated under the leadership of the Brotherhood of Eternal Love, a bohemian group that took Timothy Leary as its spiritual leader and helped brand Laguna as an epicenter of the 1960s drug scene. 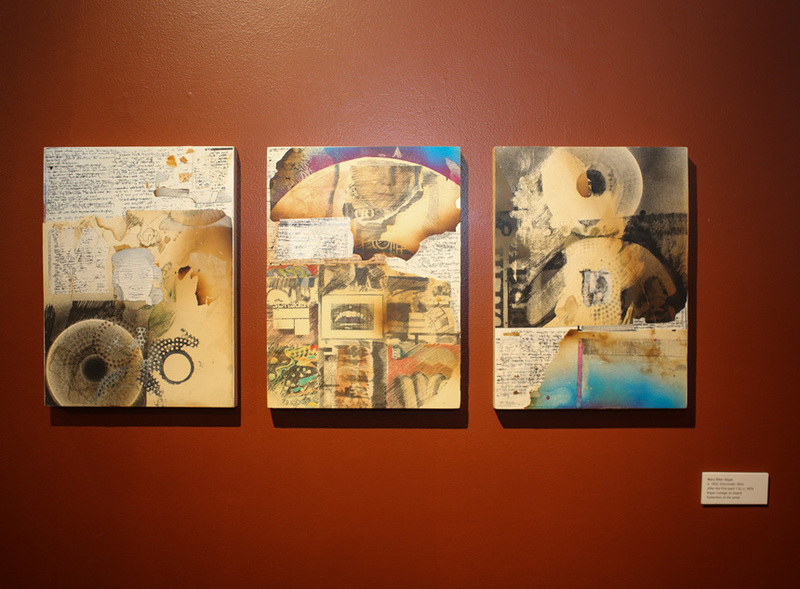 Its story has inspired many tellings over the years: in Nicholas Schou's book "Orange Sunshine," in OC Weekly features, in memories shared at Mystic Arts, the artists' cooperative that opened recently in Laguna near the burned-down gallery's former site. 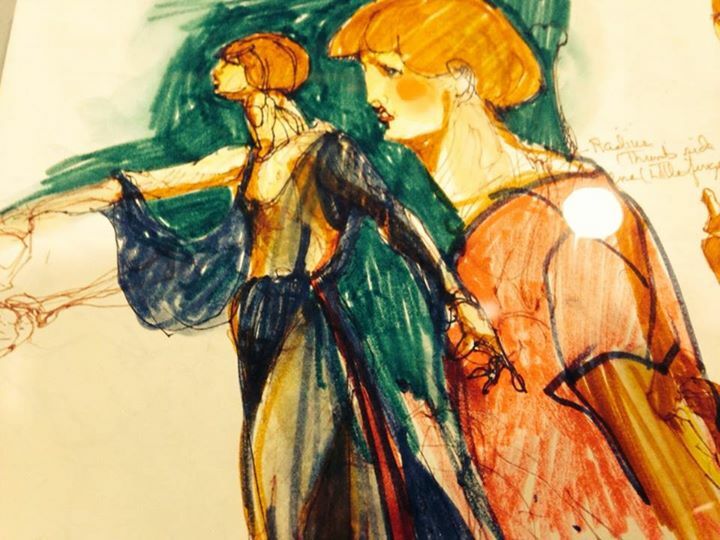 Still, Colburn said, the artistic side of the period has gotten short shrift. 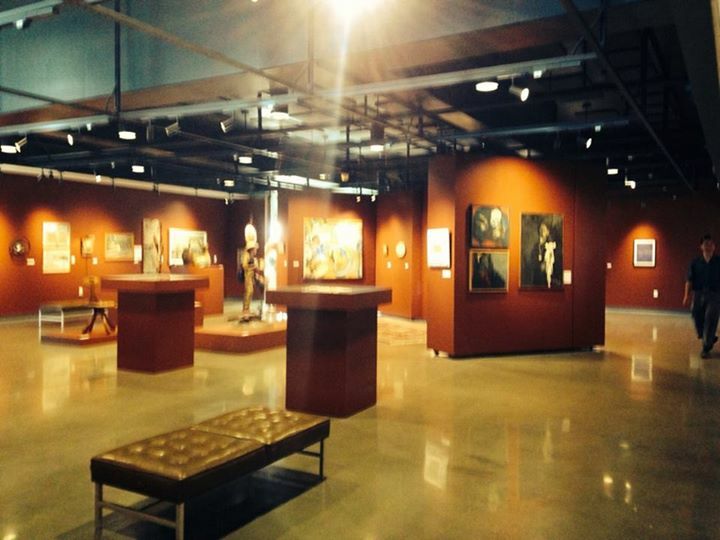 The exhibit at Coastline, to his and Wright's knowledge, is the first of its kind. "In hindsight, it's becoming more apparent that it was an important period — an extremely important period regionally that has been completely overlooked," Colburn said. "And that, I think, makes this exhibition really important." Wright still remembers the call. The artist, now a longtime fixture at the Sawdust Art Festival in Laguna, was stirred by the phone around 5:30 a.m. in June 1970. When he answered, he heard the voice of Norm Babcock, a police officer friend, bearing the news that Mystic Arts World had burned overnight. Wright raced down to the shop and encountered a scene both depressing and, in the context of the time, predictable. "Well, poor Norm, he had nothing to do with anything like that. He was just the scapegoat because he happened to be a cop." Wright, who has stated before that he believes members of the right-wing John Birch Society lit the fire, remembers the day bitterly for another reason: "That fire took out a lot of good artwork. A lot of disappointed people about that." Still, plenty of pieces from Mystic Arts World's heyday survived — and ended up in the personal collection of Wright, who became a de facto historian and archivist. In addition to artworks, Wright saved many fliers advertising shows at the gallery, and he dug them out of his files for the Coastline show. One is the notice for Pewther's solo show, with a reproduction of "Body of Christ" alongside a quote from Wright proclaiming her a "visionary American mythical Christian." Other fliers show different sides of the times: A photography exhibit titled "Faces of the Poor" features a picture of a black child clinging to a fence and gazing warily at the viewer. "Seed Dream" by Isaac Abrams. 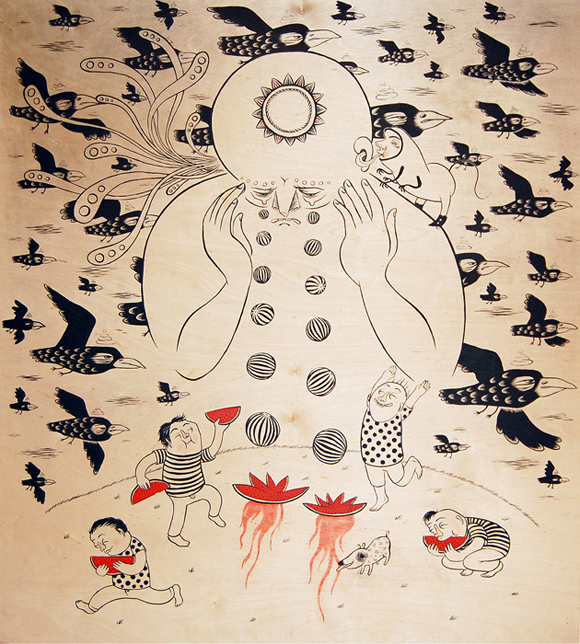 "The Fake History of the World" by Ferris Plock. "My Weeping Mother" by Carolina Augusta. "Warm Watermelon Summit" by Mary Delioussina. I expected this to be a typical presentation by a writer: reading from parts of the book, showing a power point of some of the photographs, summarizing some of the key points and then offering to sell and sign books. But this wasn’t typical. No pictures on the screen, no cartons of books. Most of the people in the audience had already read the book and some had copies in their hands. After the introduction by Bolton Colburn, curator of the exhibit, Schou was alone on a stool at the front of the spare college classroom. He summarized the story. 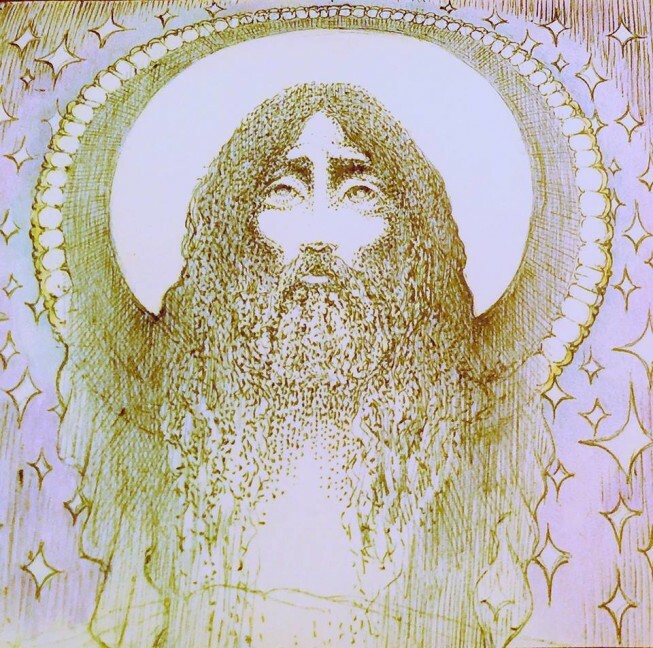 Several years before LSD became illegal in1966, Brotherhood founder John Griggs and cohorts experimented with the drug in ritualized ways, believing that it was a key to enlightenment. Using Timothy Leary’s text for guidance, partakers reported religious, out of body experiences that changed their lives forever. In 1966 they legally formed the Brotherhood of Eternal Love as a church. The group moved from Modjeska Canyon to Laguna Canyon in 1967 and created Mystic Arts World, a center of psychedelic art and culture on South Coast Highway. Schou explained how difficult it had been to gather the information for the book. Who really were members of the Brotherhood? Where were they? Who were the reliable sources? Then the all-important question, “Were they willing to talk?” In the five years since the book was published more sources and information have been revealed. “Certainly I could have done a more complete book had some of this been available,” he said in taking responsibility for its contents. “Are there any questions?” Schou opened up the discussion. It seemed many of the people in the audience had been involved in the Brotherhood in some way. It’s not often that a subject of a book gets to confront the author, but that is what happened. “How can you stop distribution of the book?” a woman in the front row demanded. “It has ruined my life. It’s all lies!” “Will you do a follow-up book making corrections?” another asked. Schou stood by his book given the limitations of information he had already explained. But he would do a second book, if the publisher were interested. His book describes the three-day 1970 Christmas Happening in Laguna Canyon at which an unmarked plane dropped thousands of cards to the camping concert-goers. Each card contained a tab of Orange Sunshine LSD, compliments of the Brotherhood. The audience didn’t agree on that story either. “I was there at the Christmas Happening, and there was no plane or helicopter dropping cards with acid. I was there handing them out. I know.” “The Brotherhood was gone by then anyway,” another chimed in. “It wasn’t the Brotherhood behind that Christmas thing.” “I printed the cards,” said another who seemed to be speaking as a Brotherhood member. This turned out to be like a class reunion of people sharing their remembrances, but they often didn’t agree with the book or with each other. I respected more and more the challenge Schou faced. Still, each person sees events differently, perhaps was part of only a few pieces of the puzzle and wants their part in the story to be told as they saw it. “We just wanted to do good things for people. Selling the hash and drugs was a way to make money to help people. We didn’t make it for ourselves, buying fancy cars or anything like that,” I was told as I wandered through the crowd at the end of the event. This story could not be told on a power point, there are nuances every way you turn, and the event left us wondering not only what the real story was, but what it all meant. I pondered. The Brotherhood was just one of the more extreme and colorful examples of the love and peace movement that arose nationwide. Spontaneity and idealism were hallmarks and creative expression was made possible by freedoms we don’t have today—to travel inexpensively, to attend college at reasonable cost, to easily find places to live, to have the time to search for enlightenment… There were dangers and uncertainty lurking around the paths we took, but I feel blessed to be a part of that generation. 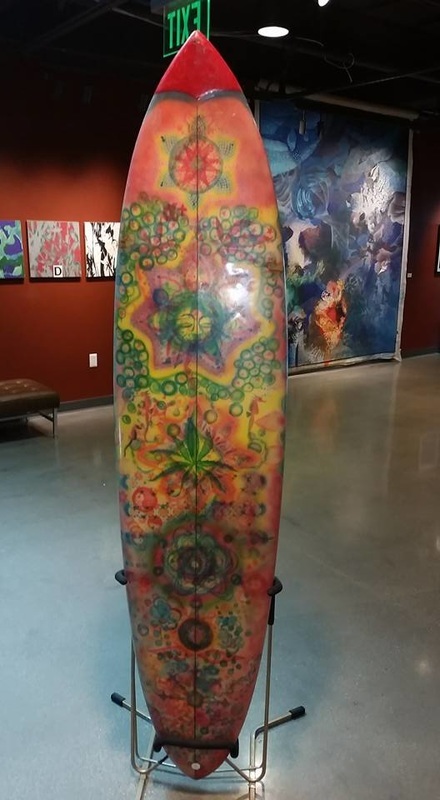 5. owned by Regumbah Connolly, exclusively exhibited works of art by Laguna Beach artists, focusing on Tom Blackwell, Andy Wing, and Dion Wright. According to Wright, sometime around 1964 (about two years before LSD was declared illegal), an entrepreneurial young man named Bill Baldwin enlisted a chemistry savant named Mike Moon to manufacture LSD in Laguna Beach.1 The psychedelic substance in the form of an electric blue liquid was made in the basement of a house at the south end of Glenneyre Street, distributed in the community, and said to be very pure. Those that shared its use were committed to a natural healthy lifestyle and centered around Bill Baldwin’s house. This circle included some of the most prominent artists working in the region at the time, many of whom later showed at Mystic Arts World. 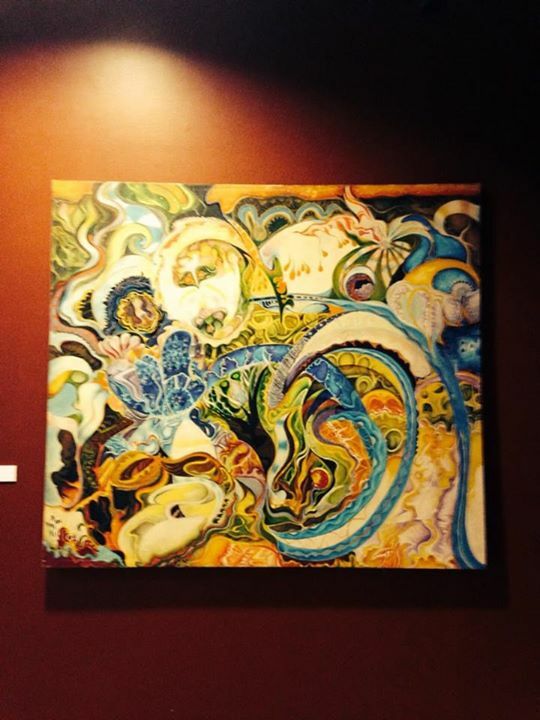 Rich artistic and perceptual experimentation grew out of this burgeoning psychedelic culture in Laguna Beach. 2 There are a number of key works in the exhibition that give a sense of the diversity of expression shown at Mystic Arts World. One pivotal piece is Robert Young’s large Opus for Milo (c. 1968-1969). 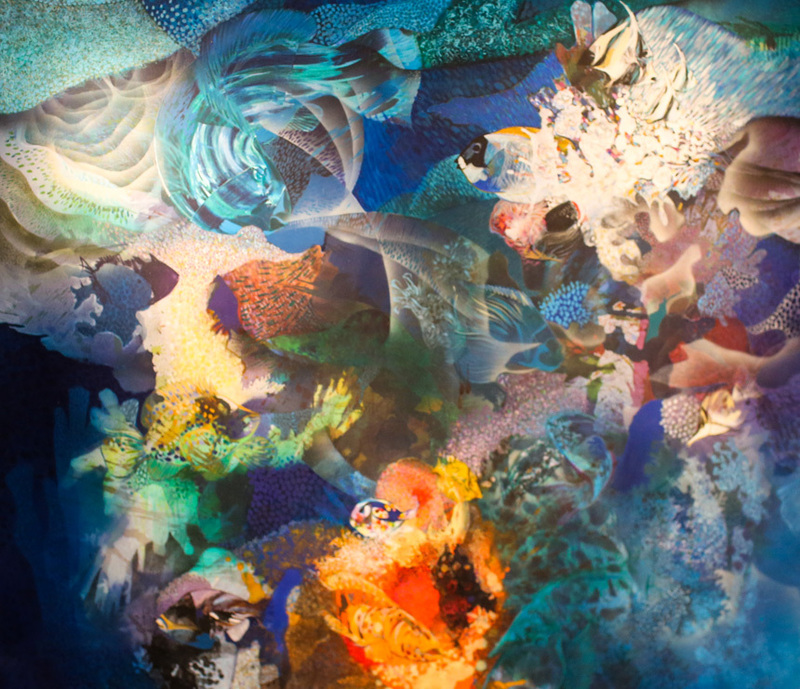 A transitional work for Young, Opus for Milo bears some of the sensibility of his earlier color-field abstractions and anticipates his later hyperreal underwater sea-life paintings. 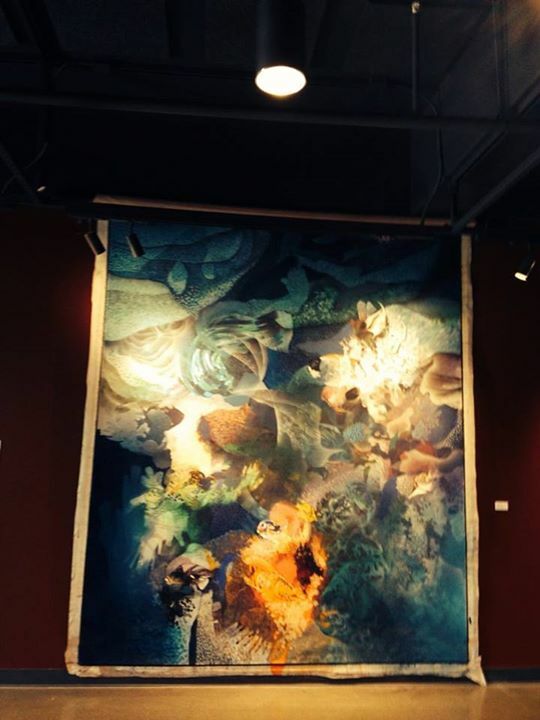 Opus for Milo hovers on the edge of chaotic abstraction, manifesting itself in a vibrant primordial sea of shape and color, with Baroque spatial twists and turns. 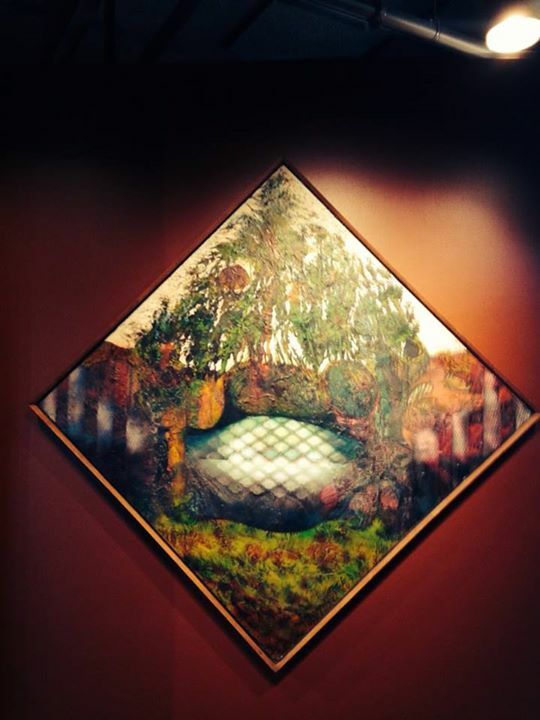 Other key works include Tom Blackwell’s Periphery, 1966, and Dion Wright’s Taxonomic Mandala, 1966, both of which make reference to primordial earth and, indirectly, to the growing environmental movement of the 1960s. Blackwell’s Periphery, like seeing something out of the corner of your eye or on the edge of your vision, is hard to grasp visually. The entire painting is slightly out of focus and its details muted. What you see in Periphery is the skin of the earth. 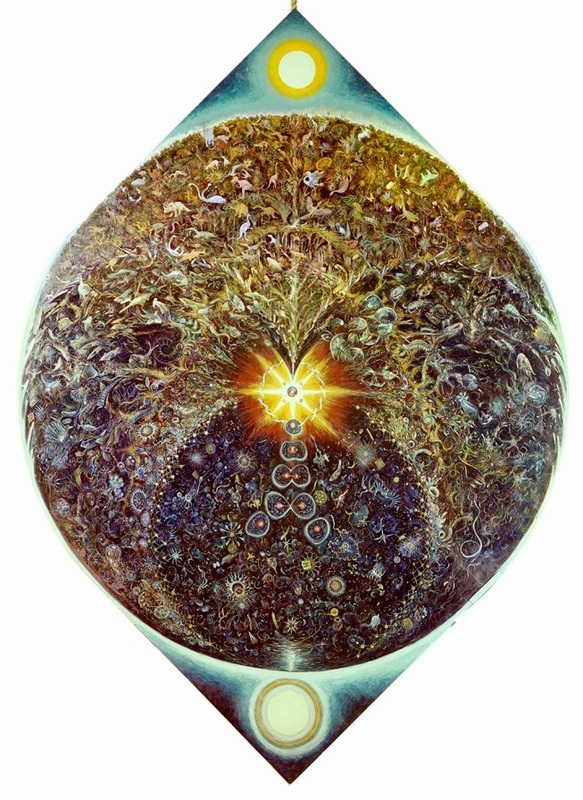 According to Blackwell, his paintings “are concerned with the transformation of matter into energy and vice versa, with the thin line between subjective and objective reality.”3 Wright’s monumental Taxonomic Mandala was the centerpiece of the meditation room at Mystic Arts World and a breath-taking, incredibly detailed, biologic description of the world. 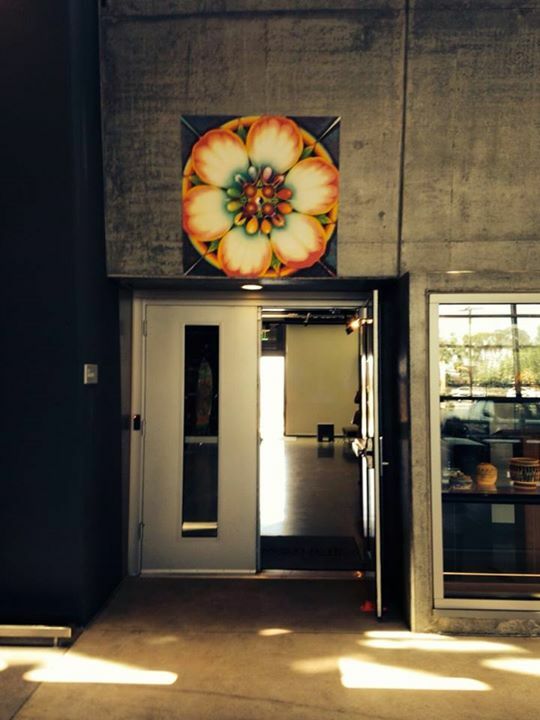 Painted at Woodstock and then installed at Mystic Arts World, it miraculously survived the fire that burned Mystic Arts World to the ground in 1970.4 Mandalas are ritual symbols that are believed to establish a sacred space and stimulate transformation of the psyche. 5 Beth Pewther’s Body of Christ-Body of Man, 1966, reflects the turbulent ethos of the period, and in particular, juxtaposes American consumer culture with the realities of the Vietnam War. Photo-based artists in Southern California like Robert Heinecken and Martha Rosler were also mining the crossover between artistic experimentation and dissenting politics at the time. However, it is the fusion of psychedelic culture and Christianity in the work of Pewther that is of note. 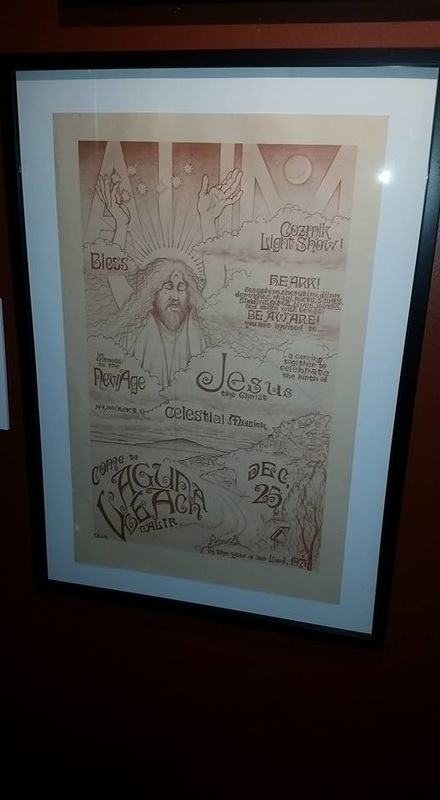 Psychedelic Christianity, a subgenre of “born again” Christianity, would eventually have an influence on Calvary Chapel and other religious organizations in Southern California. Alistair Gordon aptly sums up the cultural gestalt of the 1960s versus that of today in his online overview for his book Spaced Out (Rizzoli, 2008). 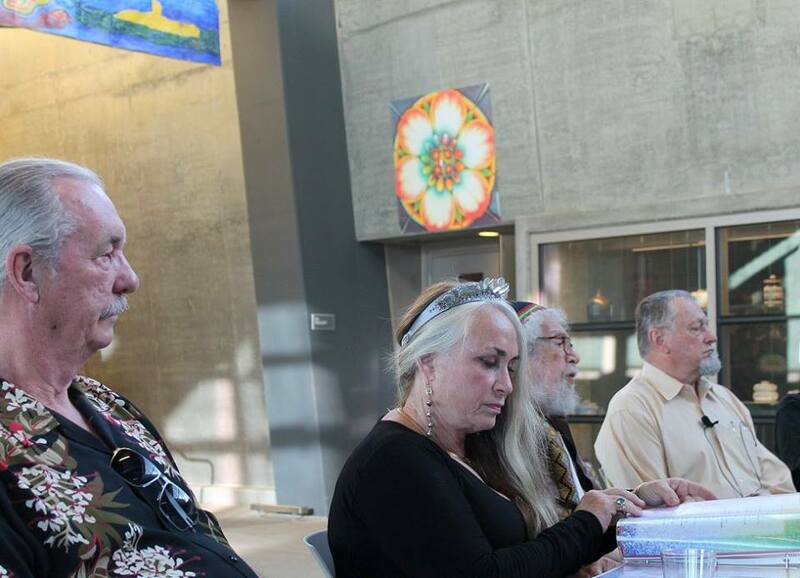 Gordon explains that he wrote the book “in response to the culture of control that arose after September 11, 2001” versus the freedom of the sixties, which he saw as “a period of unbridled experimentation.” 6 Today there is a built-in cultural inclination to dismiss works of art that make reference to use of psychedelic substances. While the reasons are many, including the fear of promoting the use of LSD, the attitude is a bit like throwing the baby out with the bathwater. The search for self--the ultimate quest of the Baby Boomer generation--set the stage in the 1960s for one of the most remarkably open-minded and culturally fertile periods of the century, and mind-altering chemicals were a catalyst in making that possible. Given the level of fear and control prevalent in our culture today, it is worth taking a look at the cauldron of art and ideas arising out of the Mystic Arts World. The artists’ countercultural activity and mystical quest can still inspire us today in our thinking about personal and global transformation. Bolton Colburn Guest Curator (Endnotes) 1 Dion Wright, Bathtub Chemistry, an unpublished manuscript emailed to me by the author in January 2015. This was prior to the Brotherhood of Eternal Love’s presence in Laguna Beach. 2 Just over the hill from Laguna Beach, the University of California Irvine was being established along with its art department and gallery program. 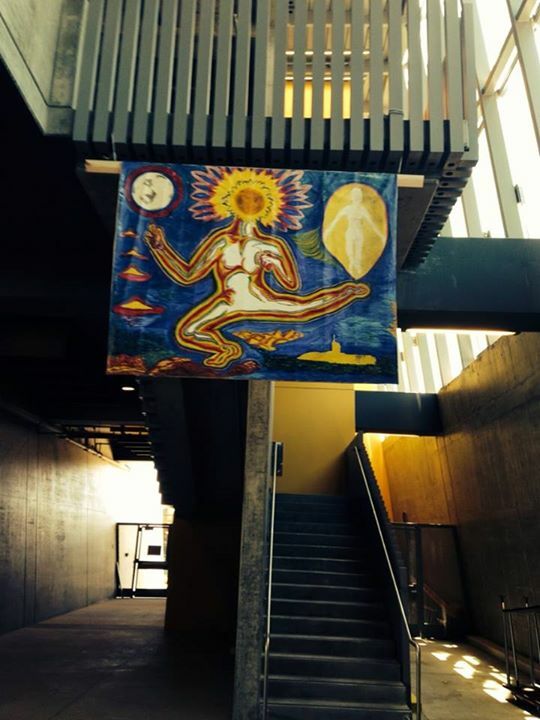 There are parallels between the art experimentation and perceptual exploration occurring at UCI and in the growing psychedelic culture in Laguna Beach. Additional work needs to be done on this crossover and the cultural forces in play at the time that affected every young person in California in unprecedented ways. 3 Robert E.L. Masters & Jean Houston, Psychedelic Art, Grove Press, Inc. New York, 1968, page 174. 4 Nicholas Schou, Orange Sunshine, The Brotherhood of Eternal Love and Its Quest to Spread Peace, Love, and Acid to the World, Thomas Dunne Books, St. Martin’s Press, New York, 2010, page 228. 5 Marie von Franz, C.G. Jung: Man and His Symbols, p. 225. 6 Alistair Gordon, online overview of his book Spaced Out, www.spacedoutthebook.net/overview.html. This site doesn't advocate the use of any illegal substances.